Like many of our clients, Dale & Jake live out of state so we planned everything electronically. We have so much experience with this now that the process is pretty well refined and everything went off without a hitch! 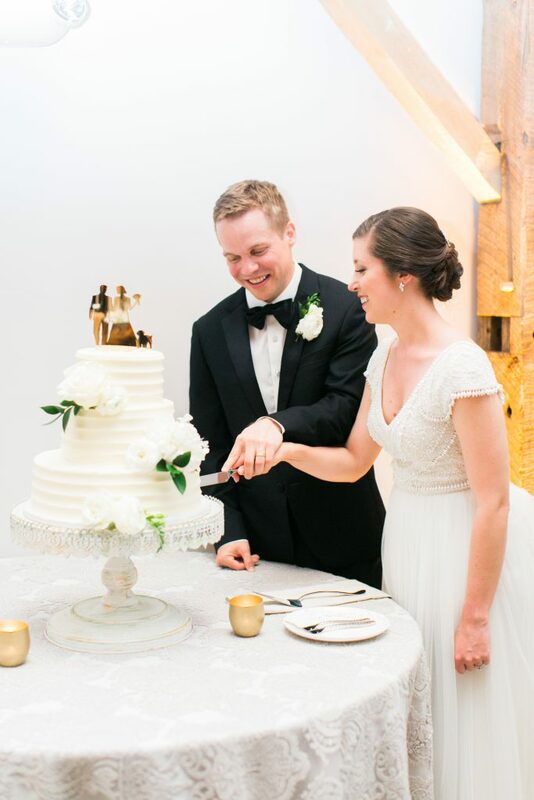 Working with a wonderful planner like Amy at Knots ‘n Such always helps a ton too. 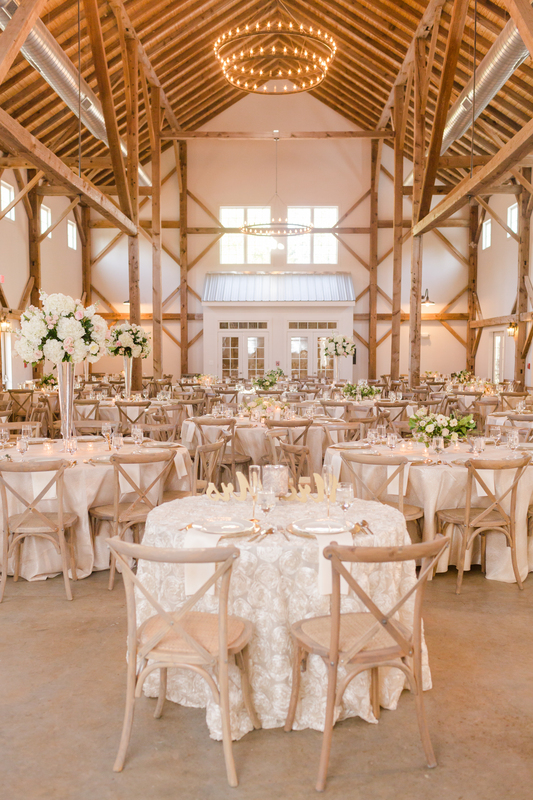 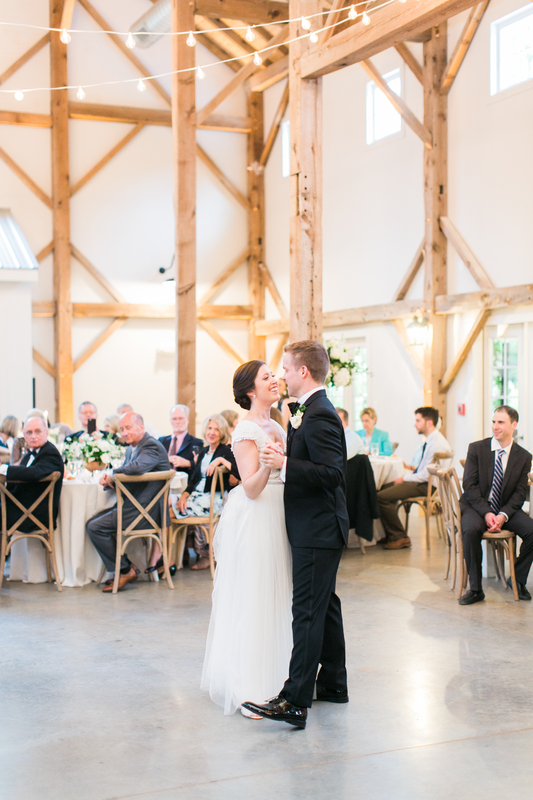 Dale & Jake chose The Meadows at Firefly Farm Preserve for their wedding venue. 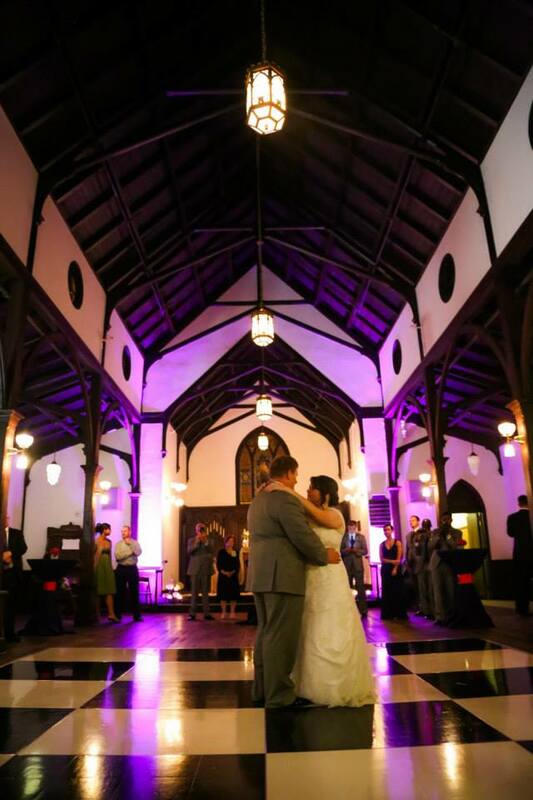 This venue is BRAND NEW and STUNNING. 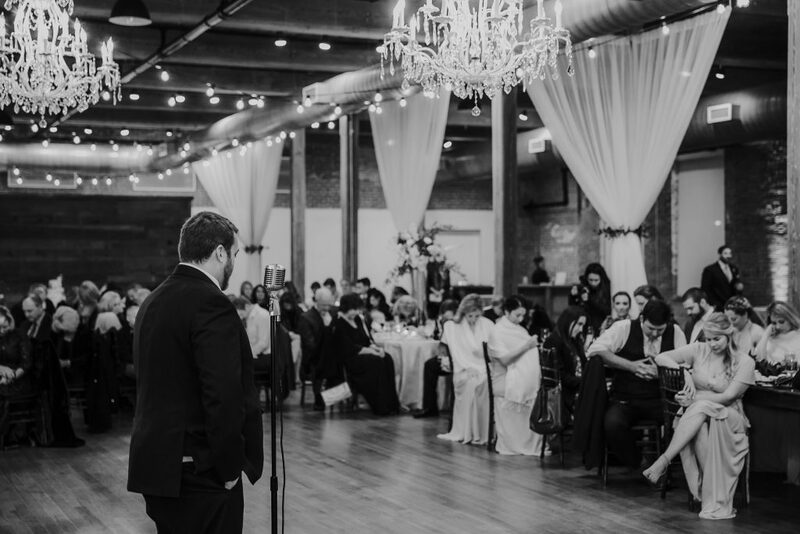 This was only the second event their but you wouldn’t have guessed it because the whole amazing staff was prepared for everything and ready to help at a moment’s notice. 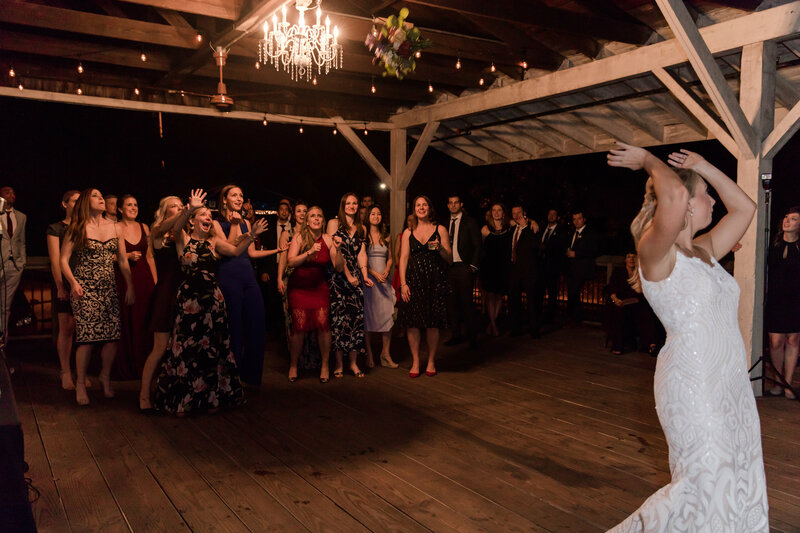 The rain may have been relentless and cold but these clients and their guests were so good-spirited, fun and ready to celebrate that it didn’t even matter. 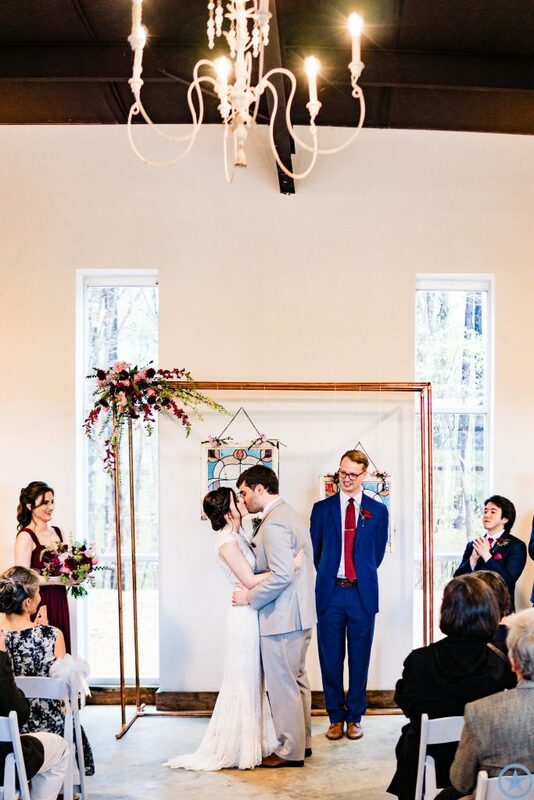 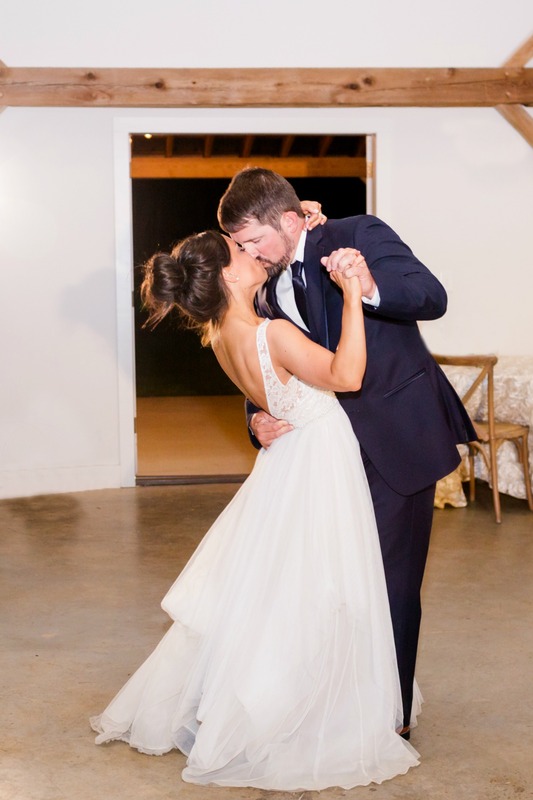 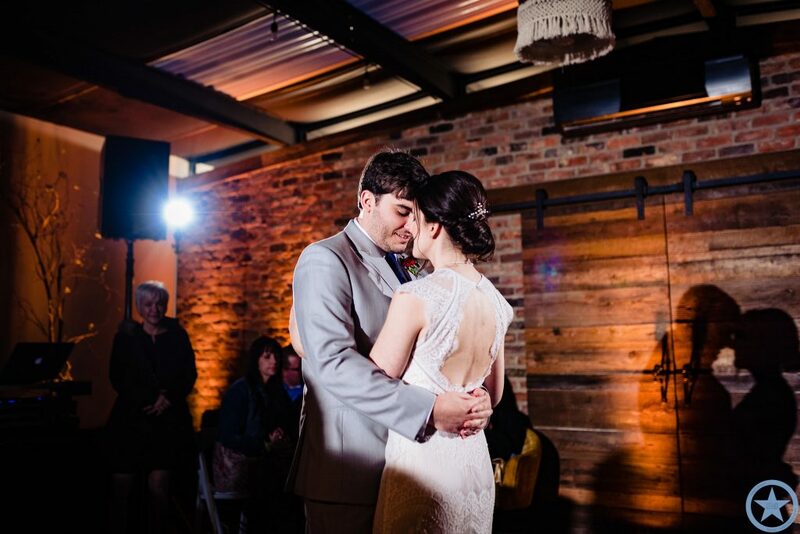 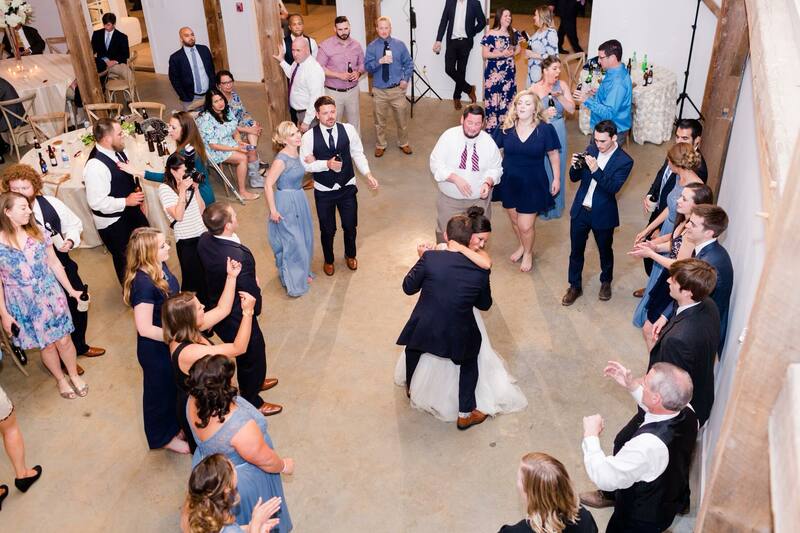 They had a wonderful ceremony inside the larger wedding space and then everyone came next door to The Green Room to dance and celebrate the second half of the night. 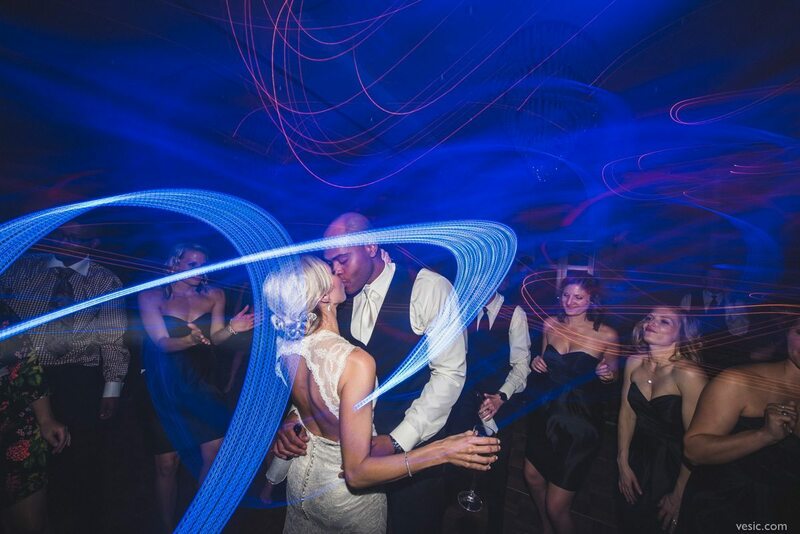 Check out the very impressive photos below from Kivus and Camera! 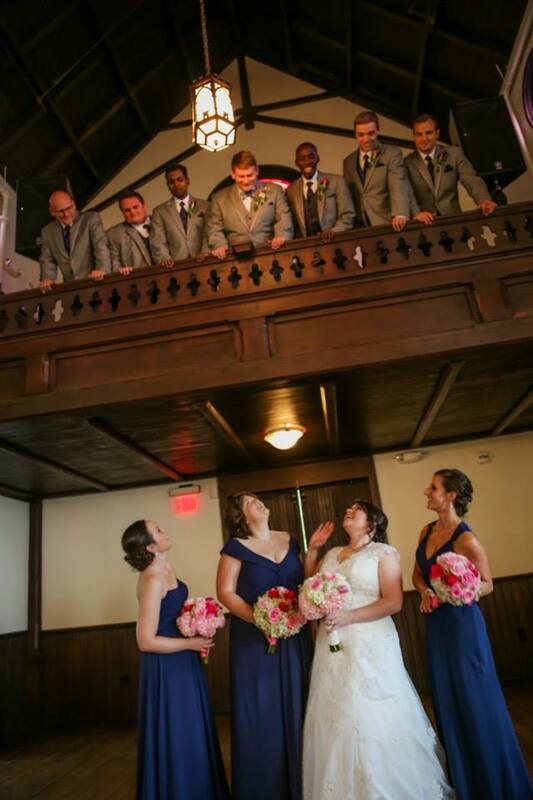 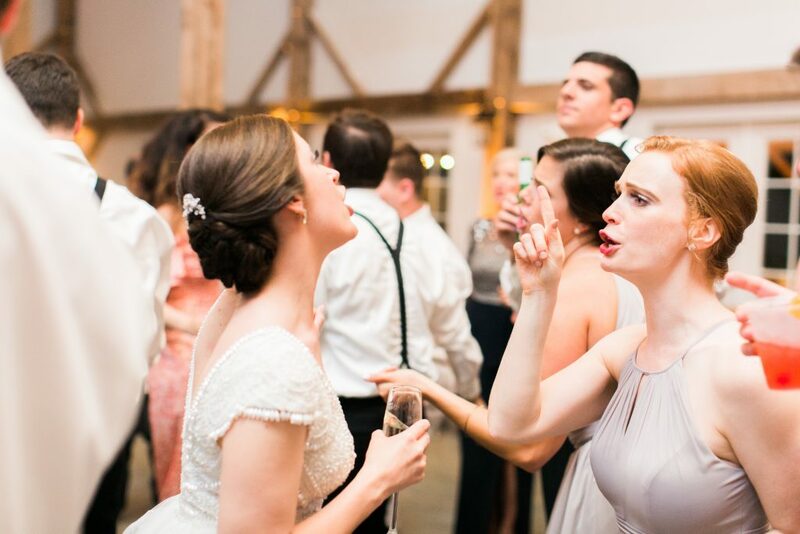 To start their reception, we brought the bridal party in to “Fire and the Flood” by Vance Joy. 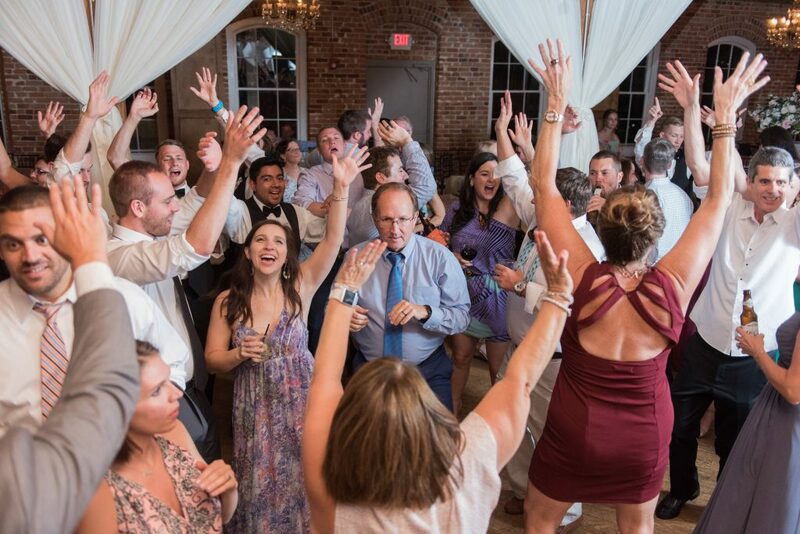 Their guests were excited, loud and clearly ready to rock! 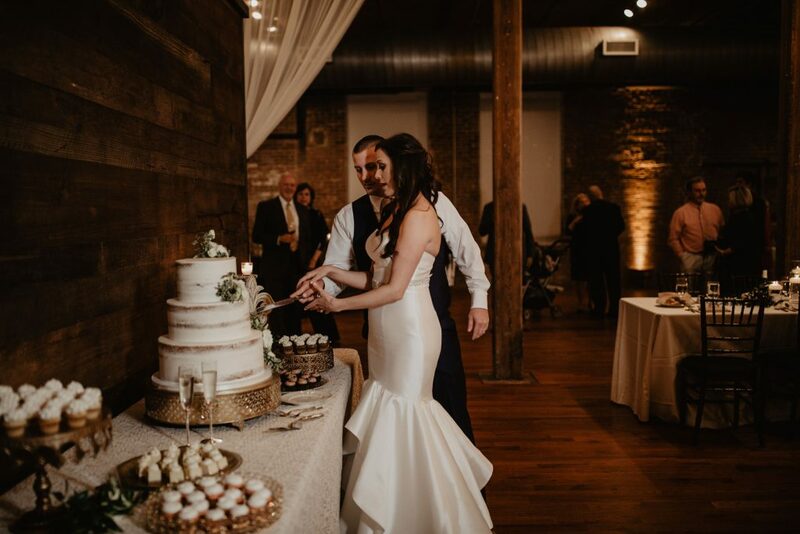 The amazing dinner by Fresh.Local.Good Food Group followed and then immediately after that we did the cake cutting and toasts. 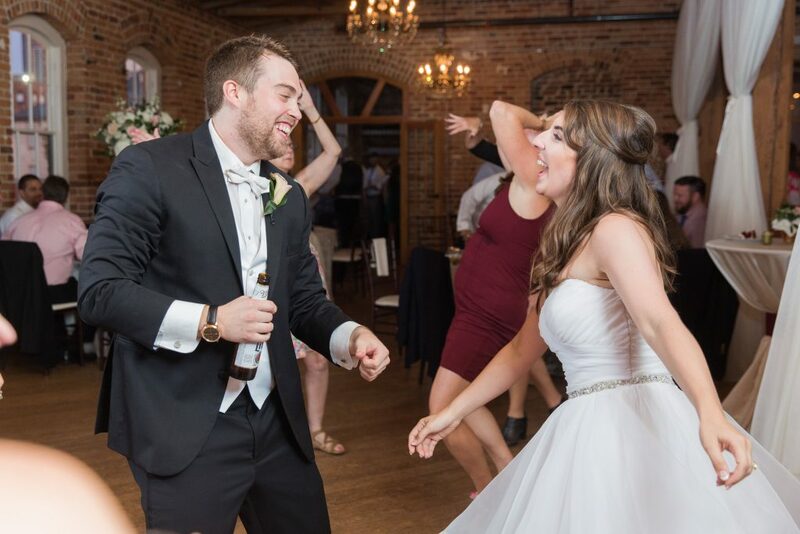 After toasts (really fun toasts btw! 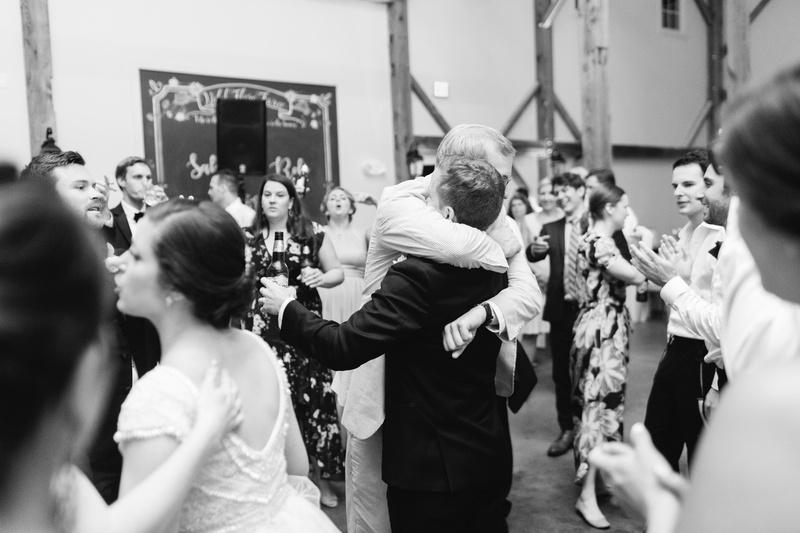 ), we all watched as Dale & Jake had their first dance to “Ocean’s Away” by Arizona which was followed by “Stand by Me” by Ben E King for the Mother/Daughter Dance and the Mother/Son Dance to “She’s Always a Woman’ by Billy Joel.” Now, we should say that all wedding parent dances are special but the song Jake chose for his Mom’s dance was a surprise to her and she cried on her son’s shoulder for the whole dance….we had to look away! 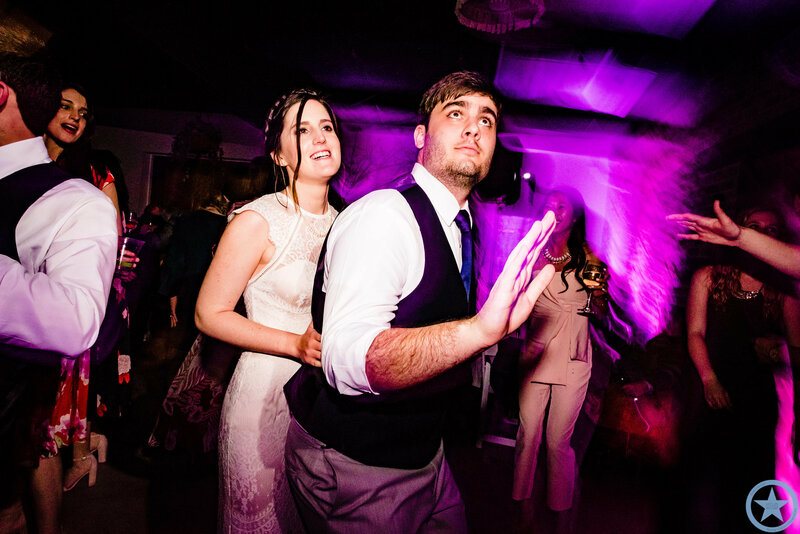 At first Dale and Jake were going to give us playlists for dancing but after some thought, they decided that wanted to give us complete freedom to choose the music. We do appreciate the trust y’all! 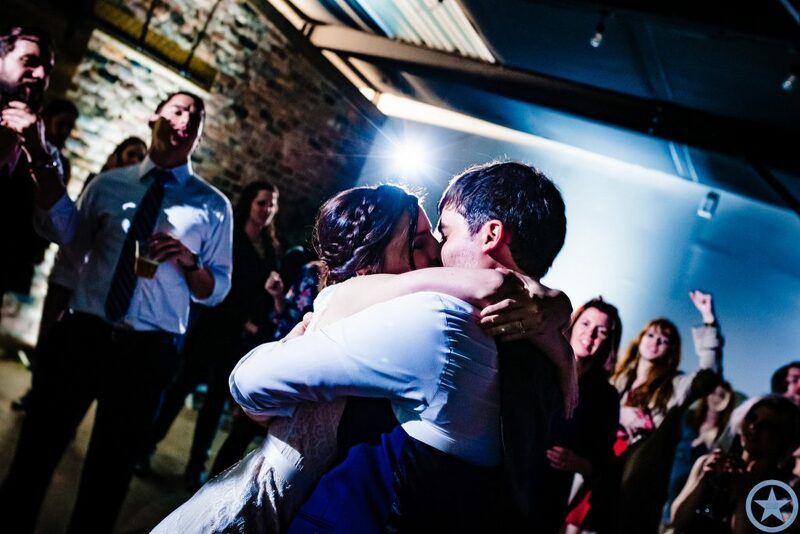 Turns out that we got to throw this amazing couple one of the most amazing parties ever with a packed dance floor for two solid hours which was capped off with the very fun ‘Inspector Norse’ by Todd Terje. 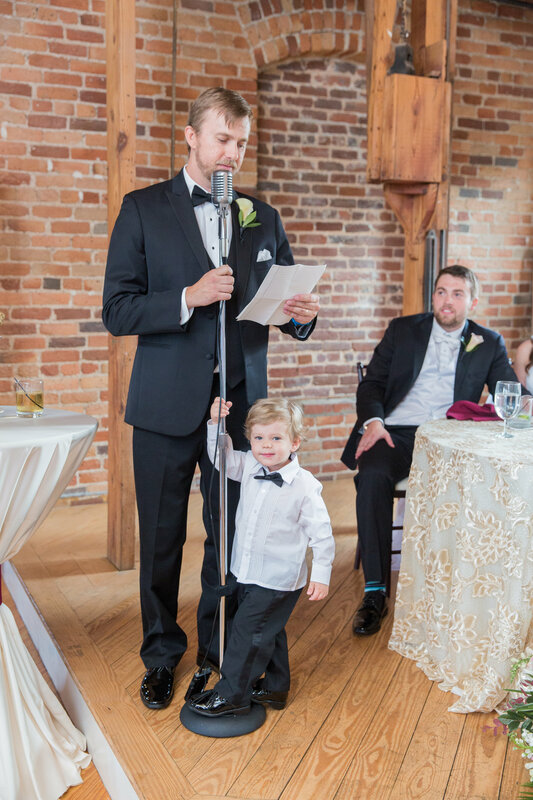 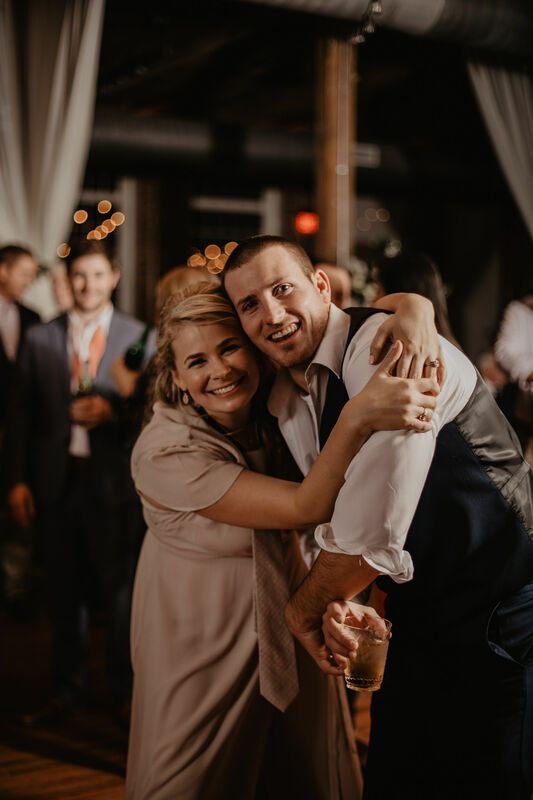 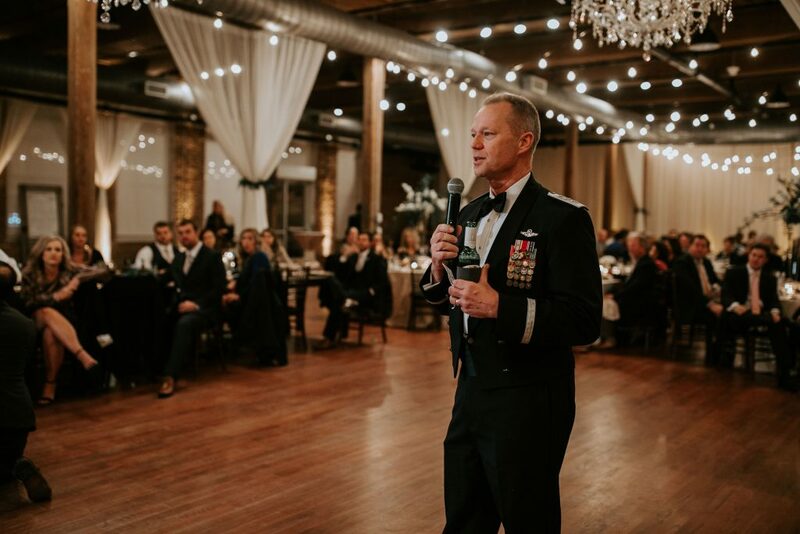 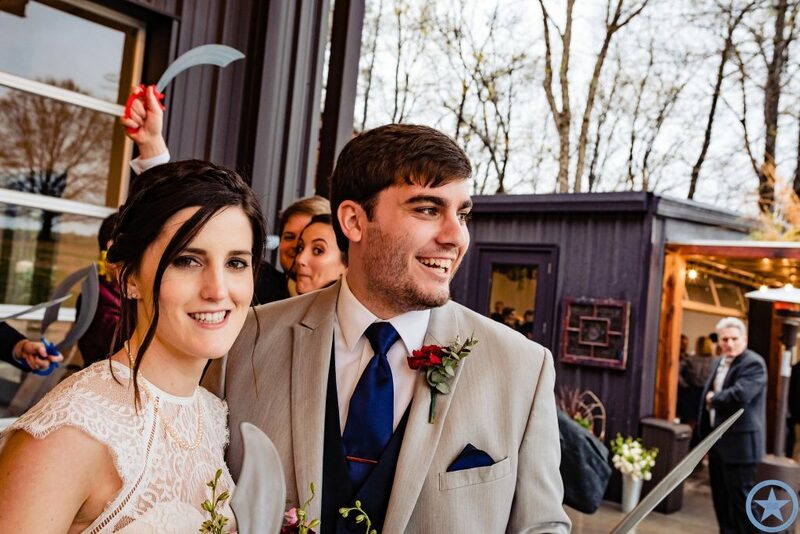 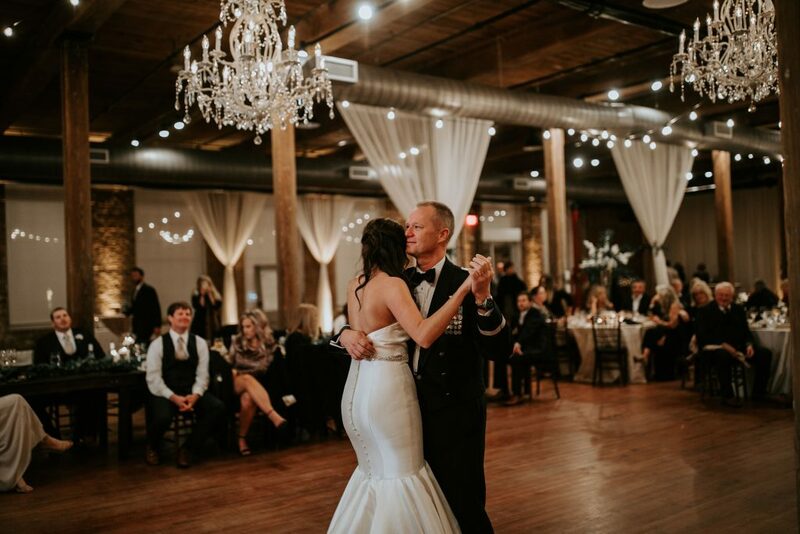 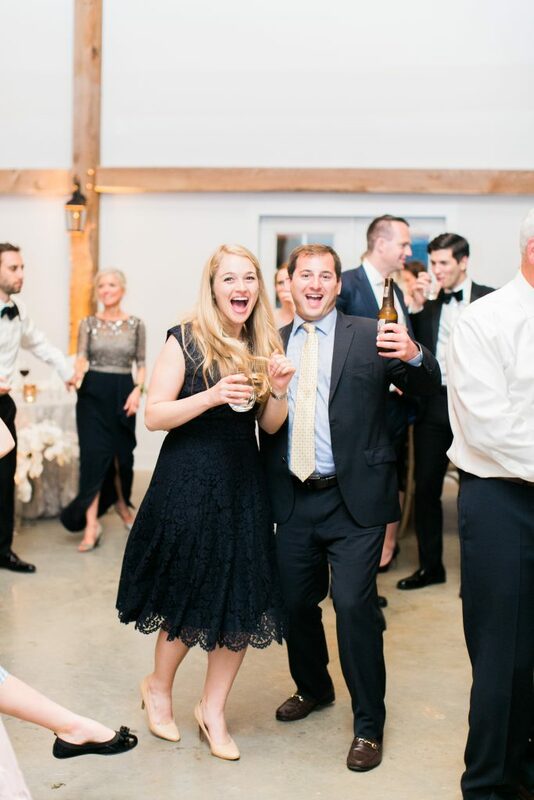 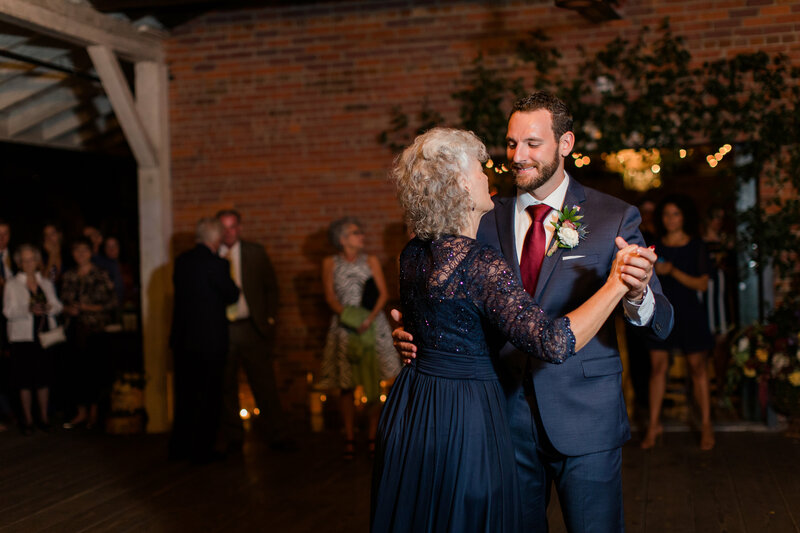 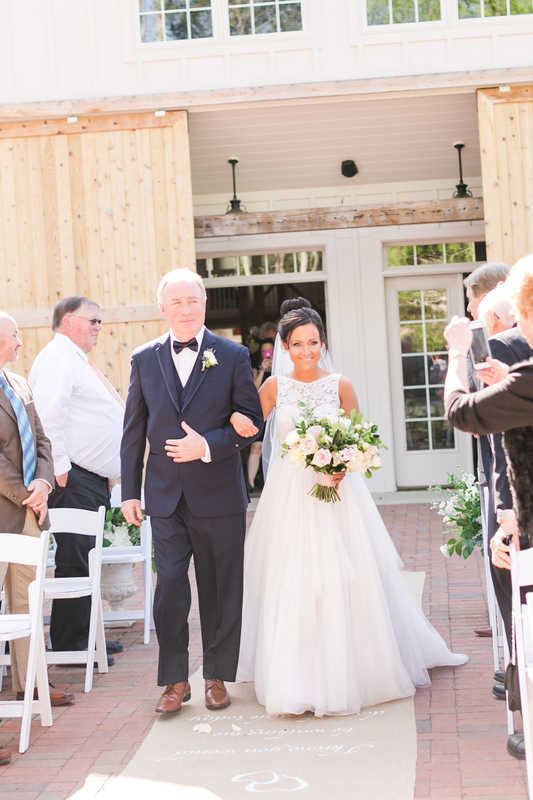 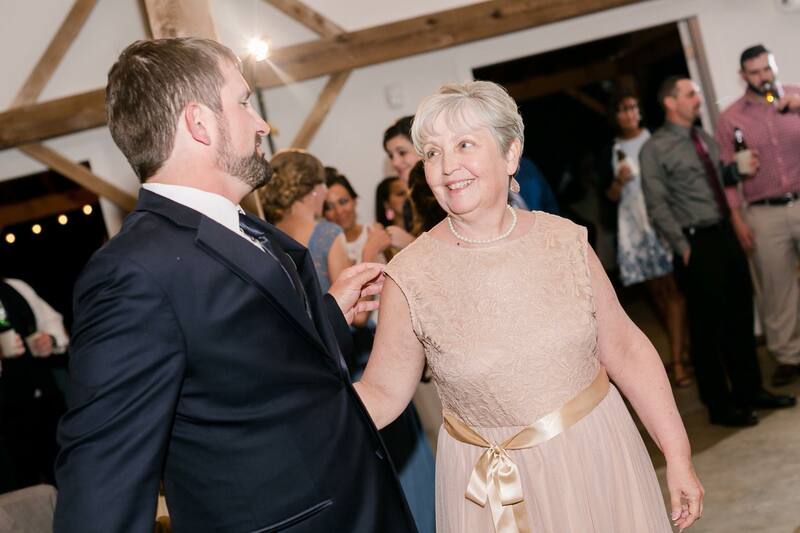 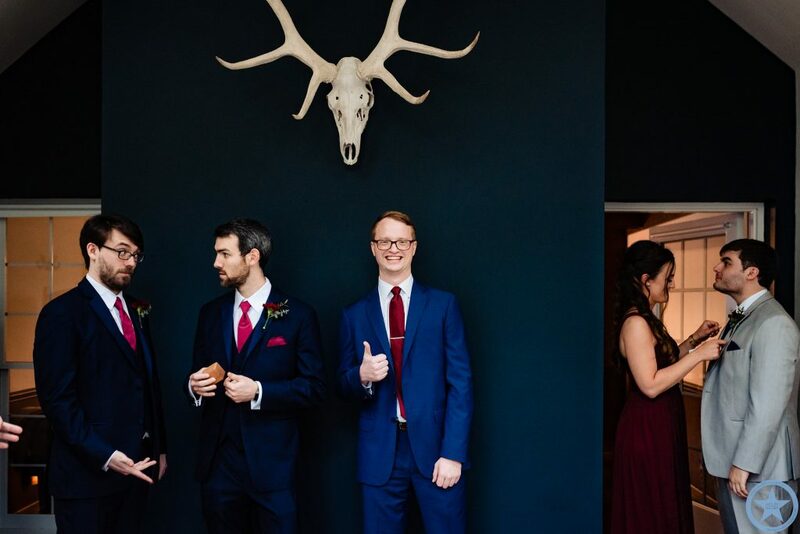 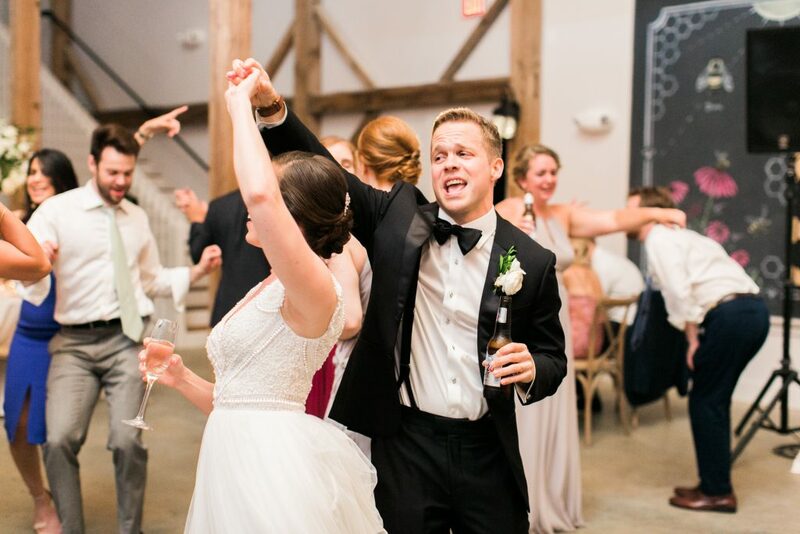 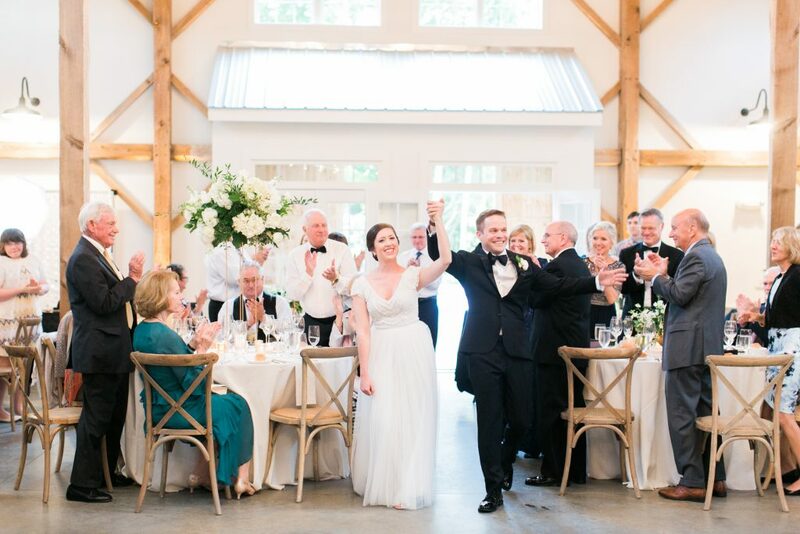 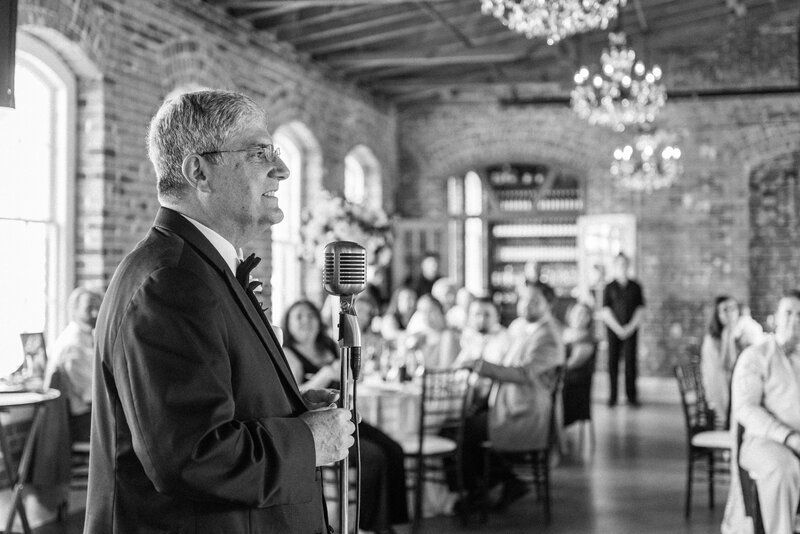 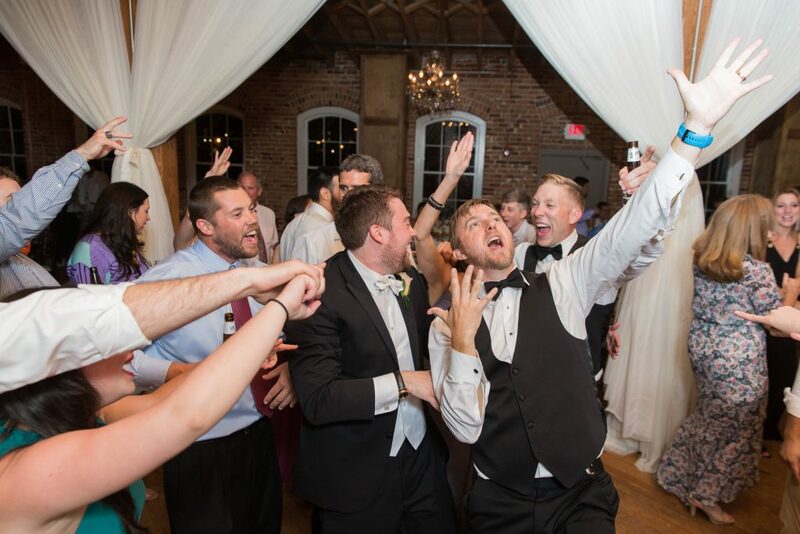 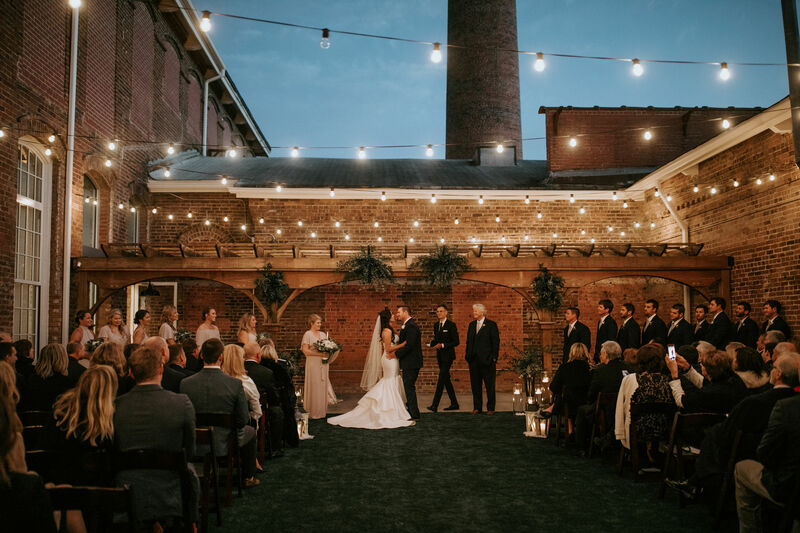 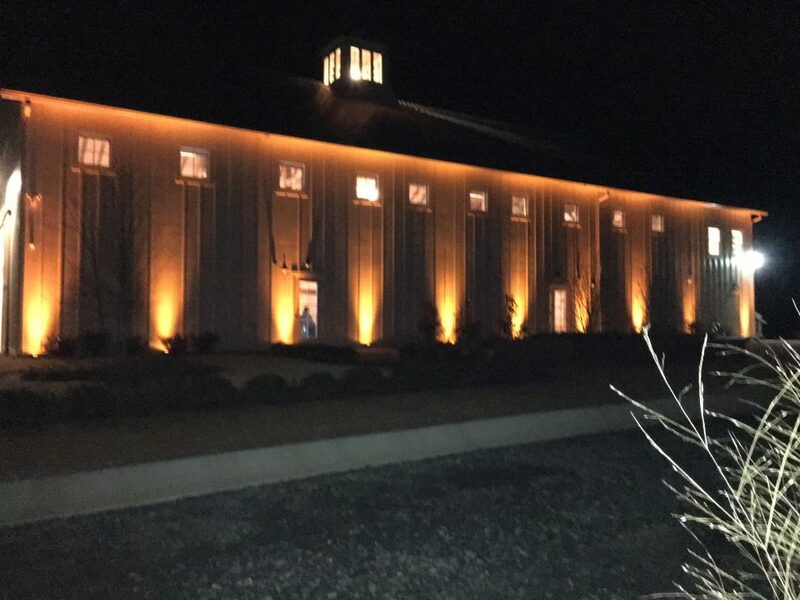 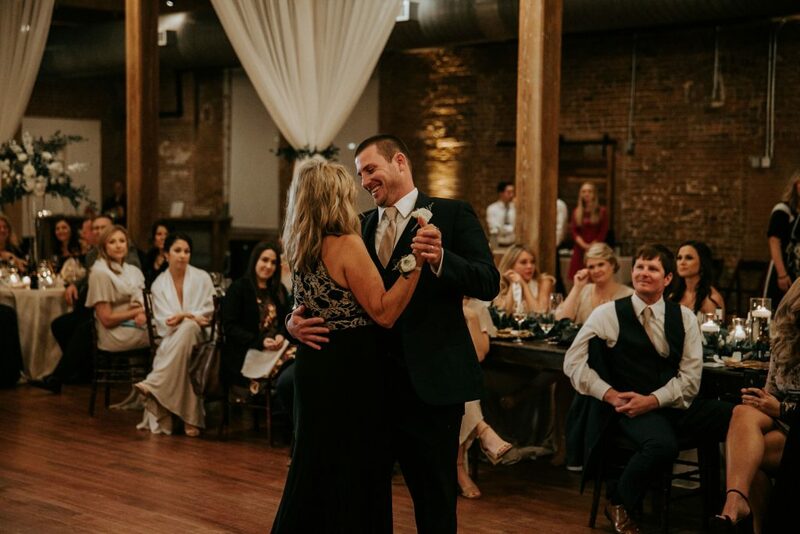 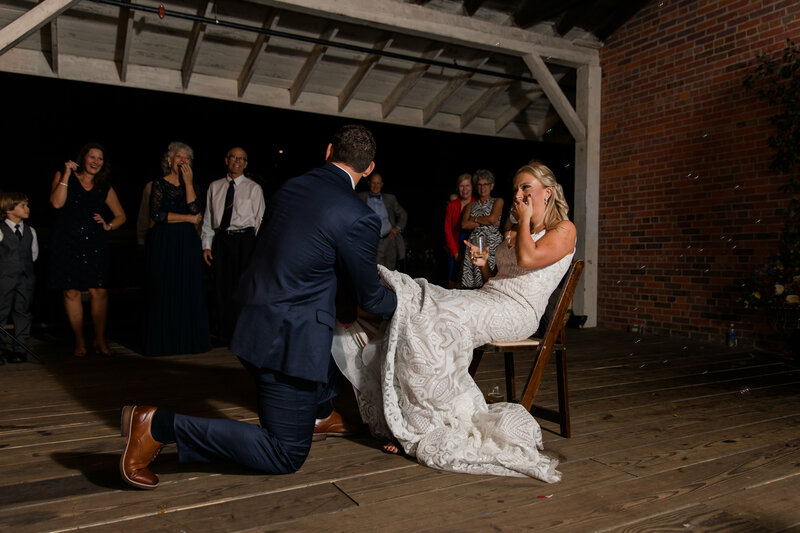 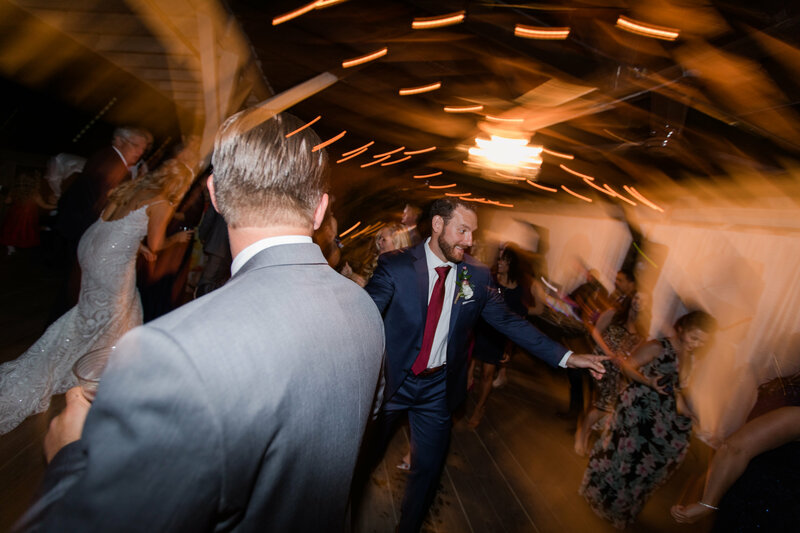 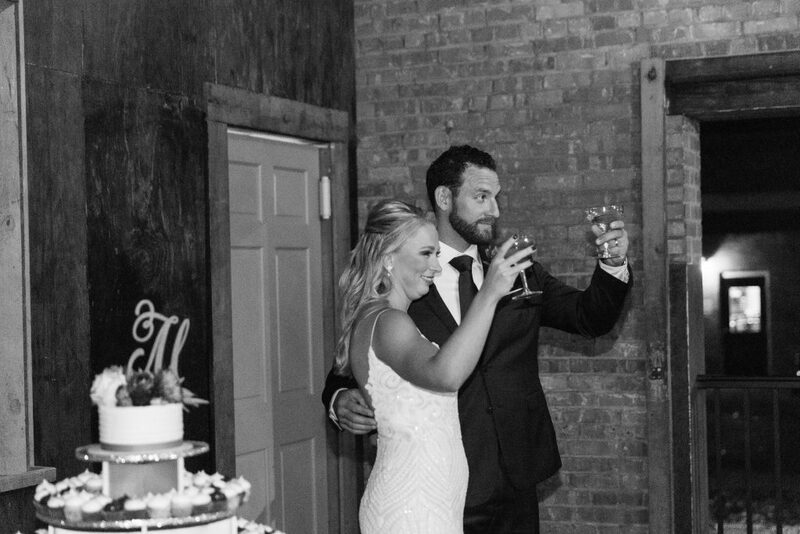 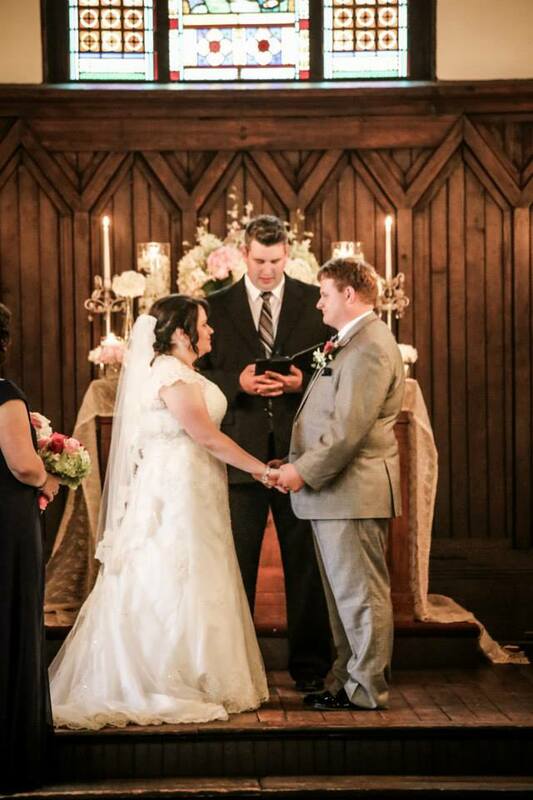 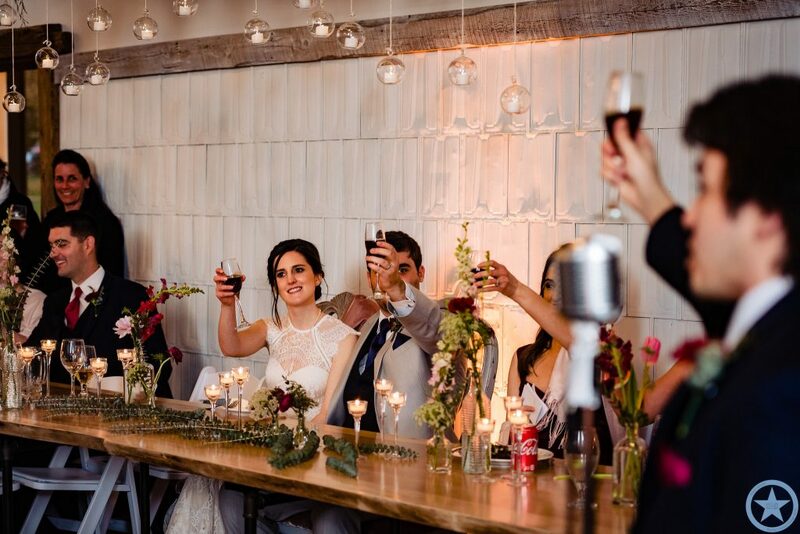 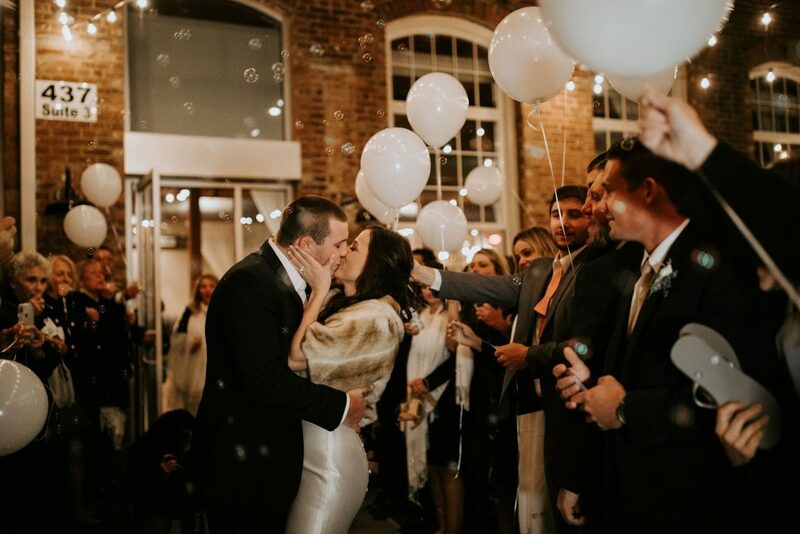 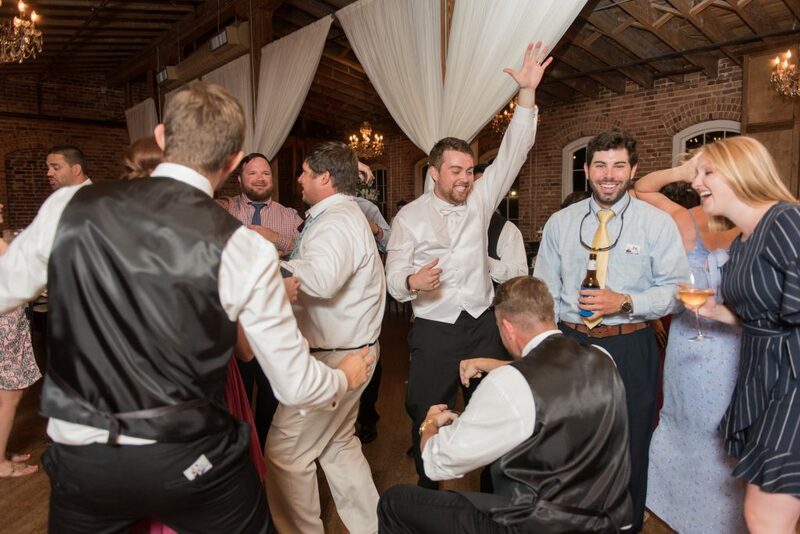 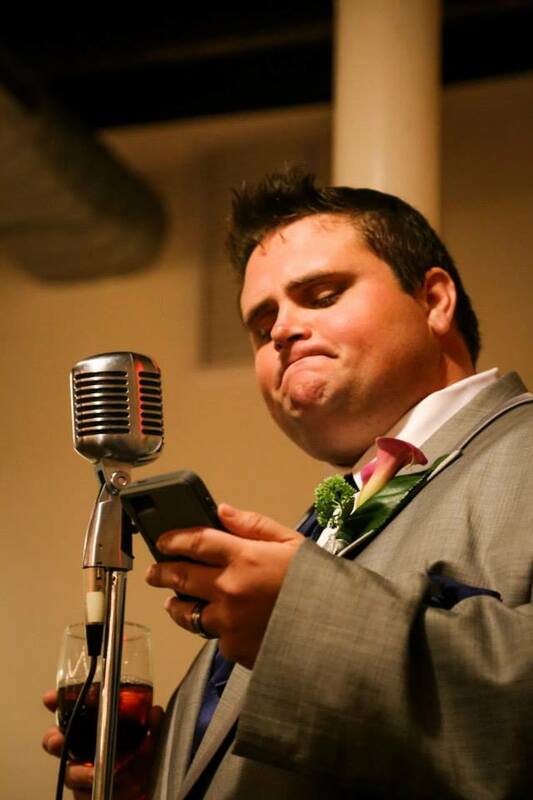 From Jake’s review on Google: “He helped take the reception from good, past memorable, and made it all the way to legendary occasion amongst our friends.” Thank you to Dale & Jake for reminding us why we love our job so much! 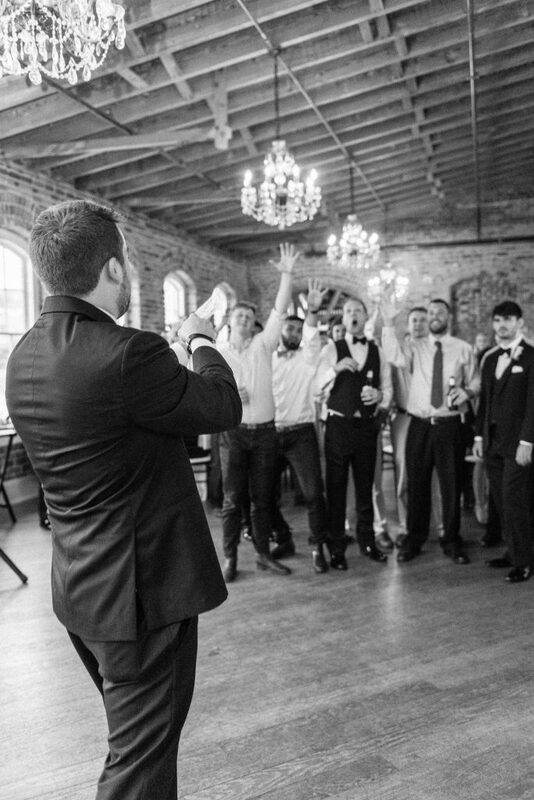 Check out Dale & Jake’s Wedding Vendors! 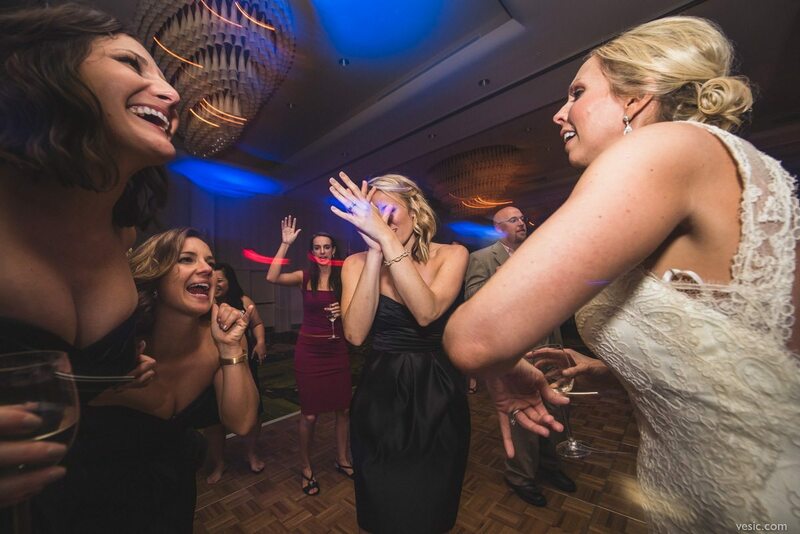 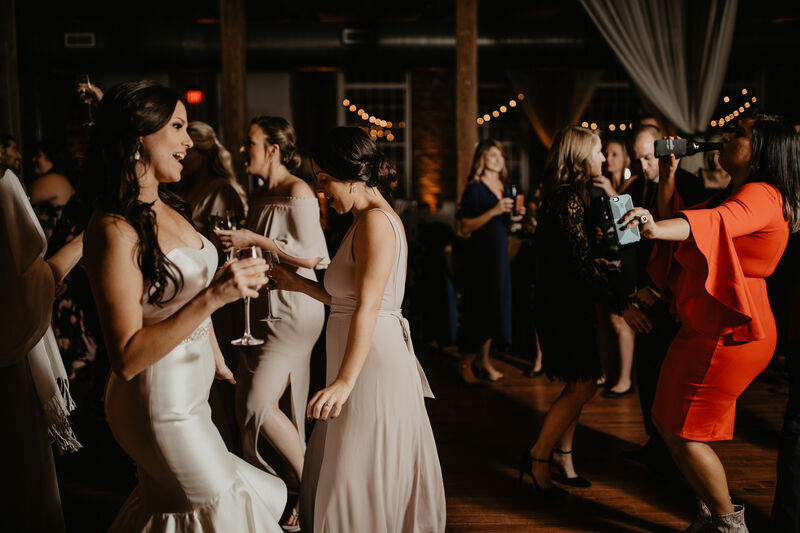 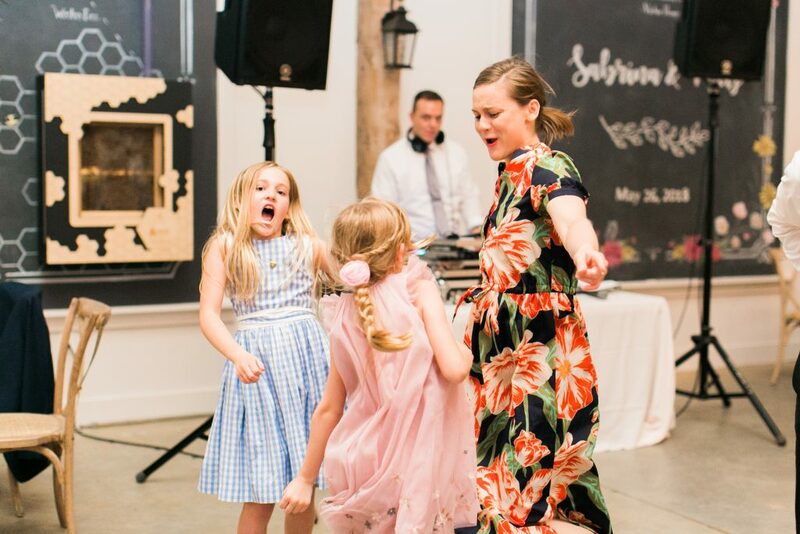 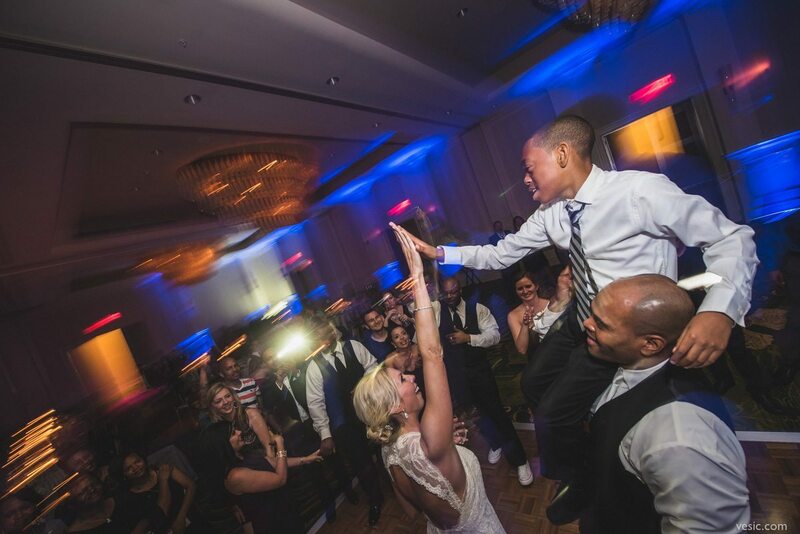 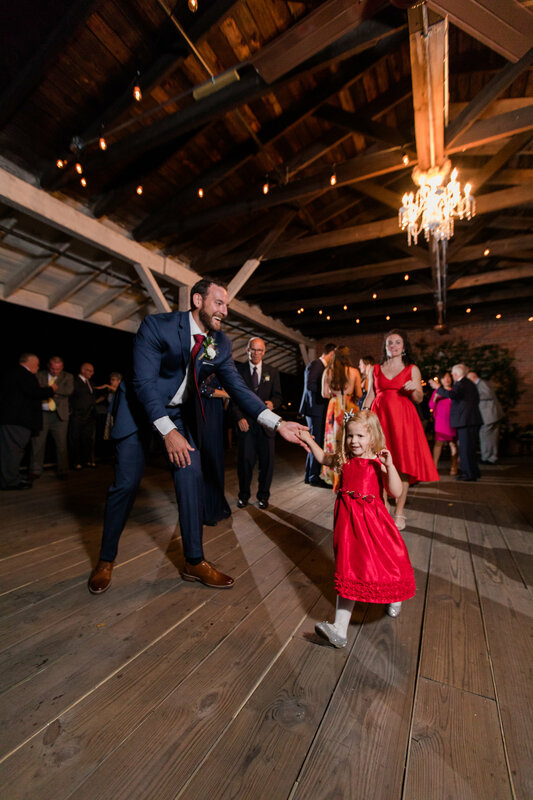 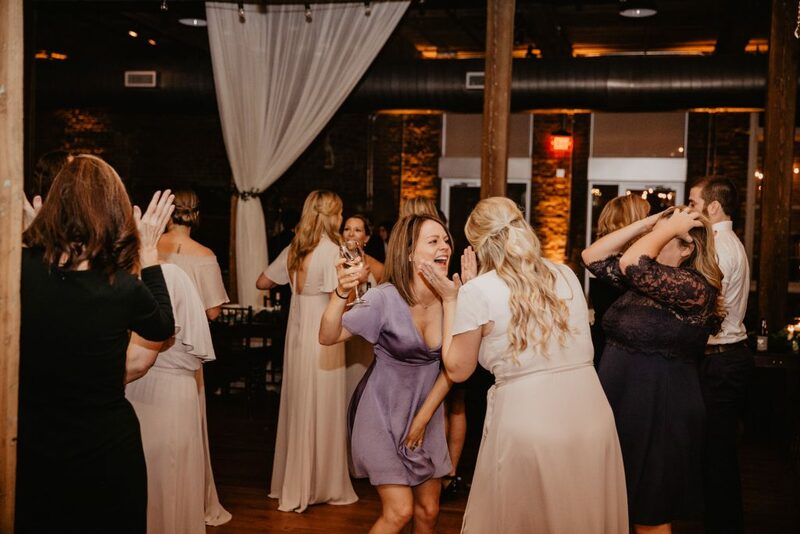 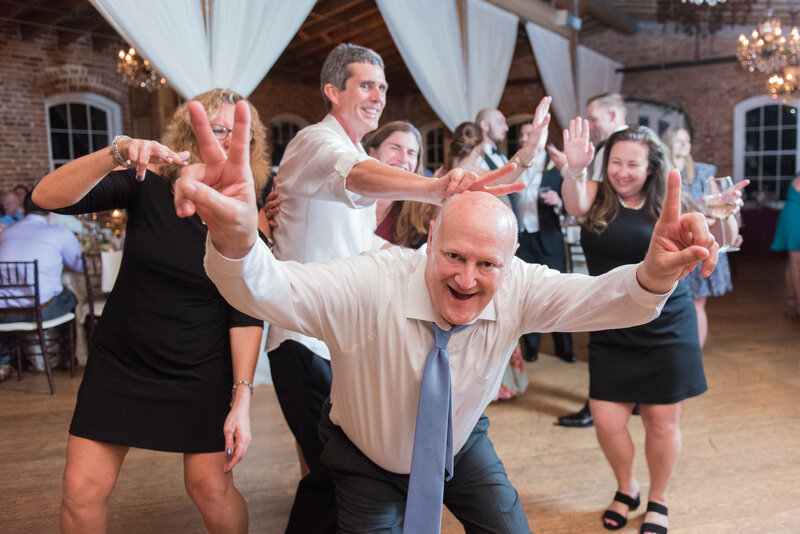 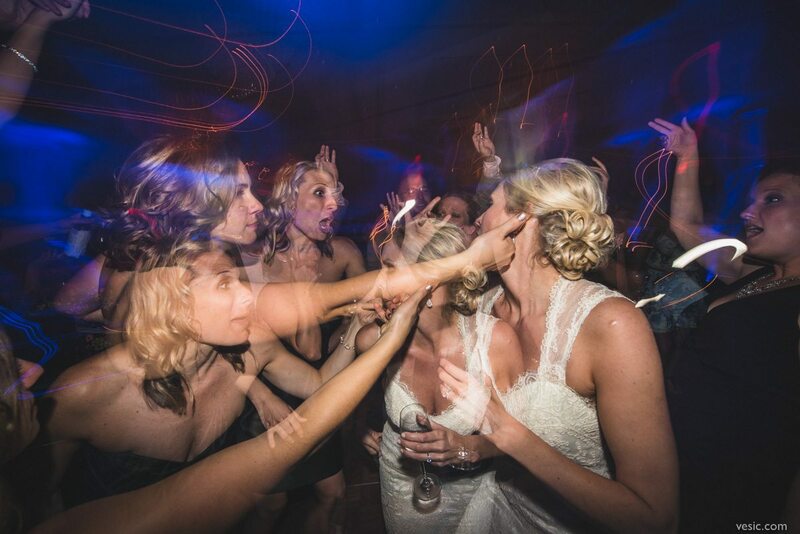 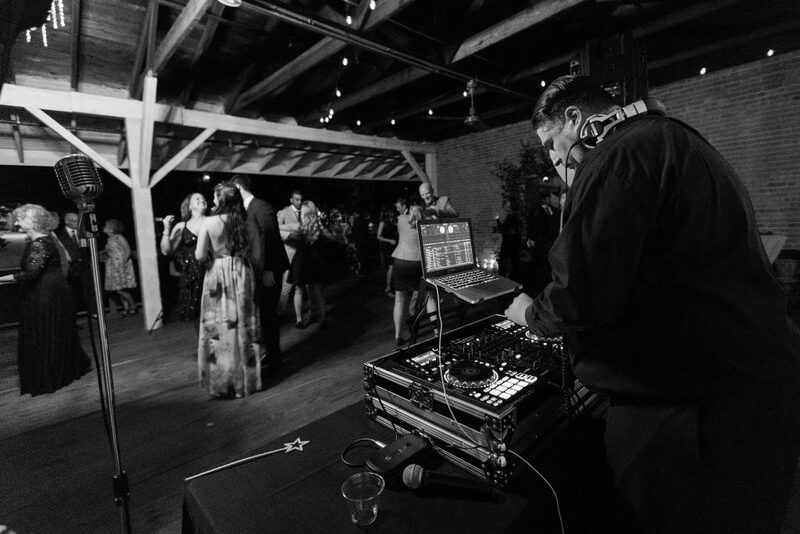 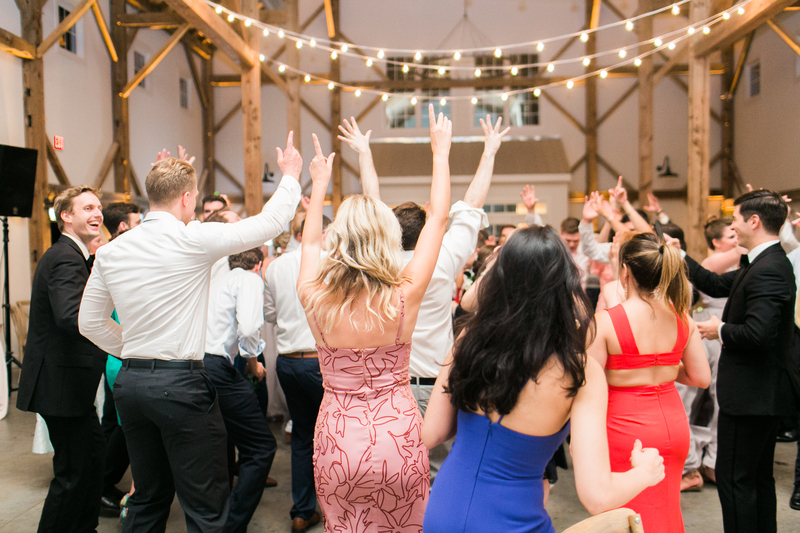 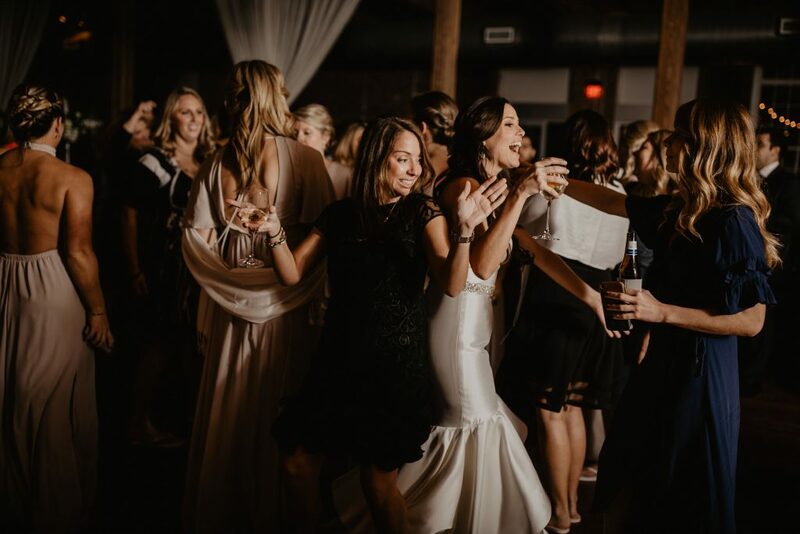 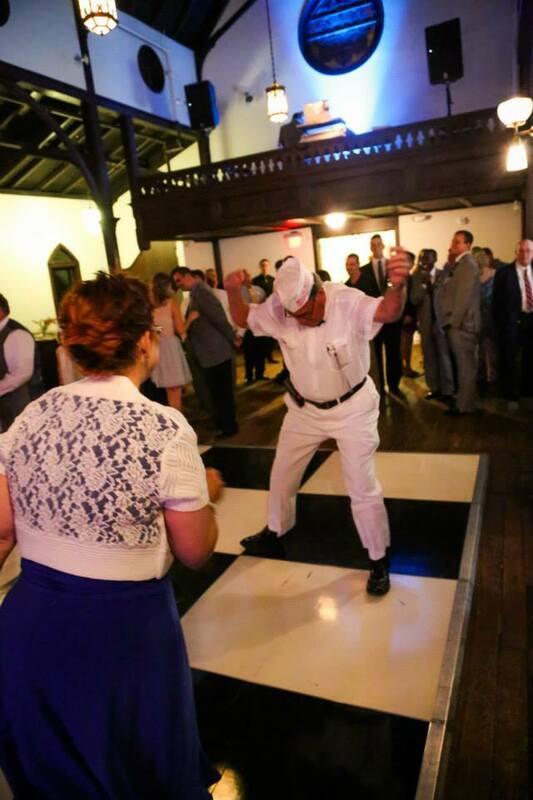 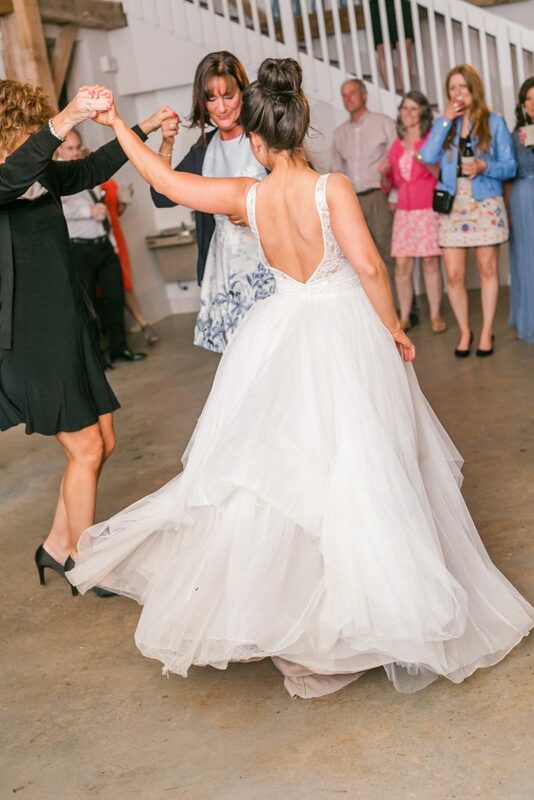 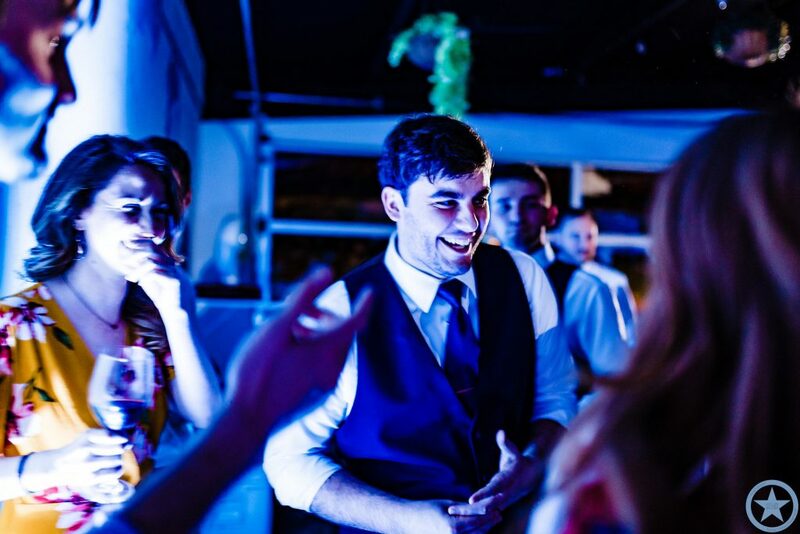 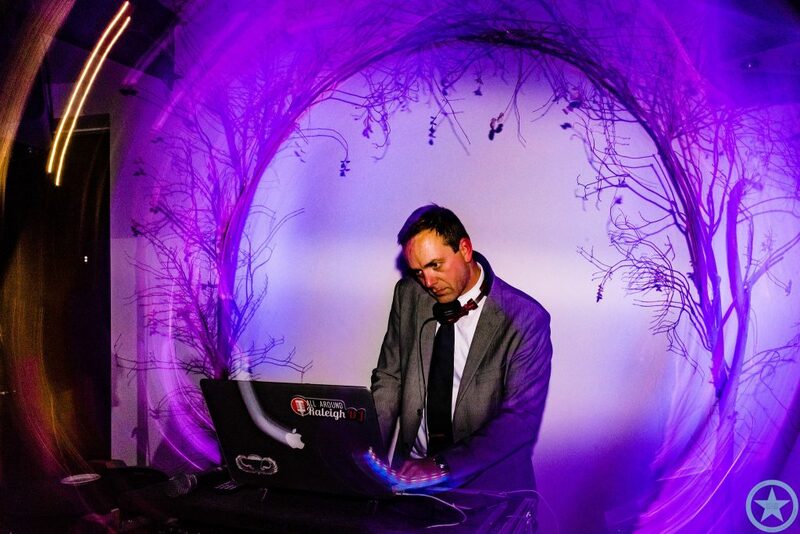 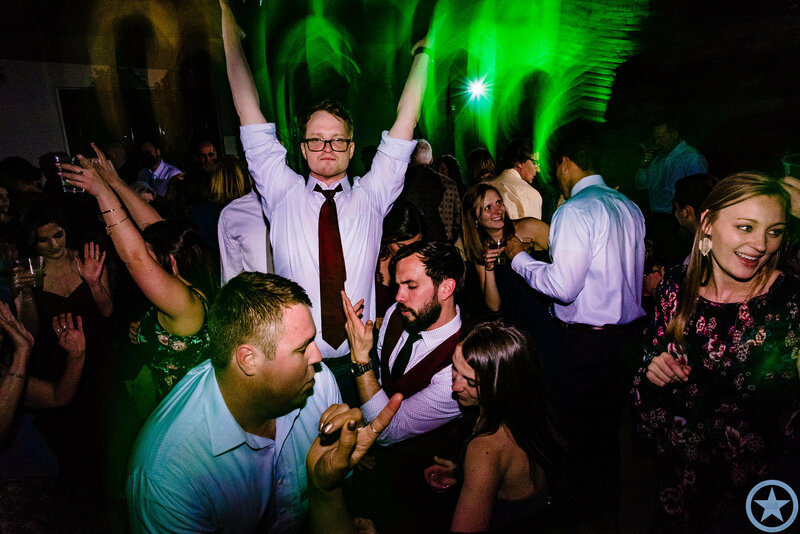 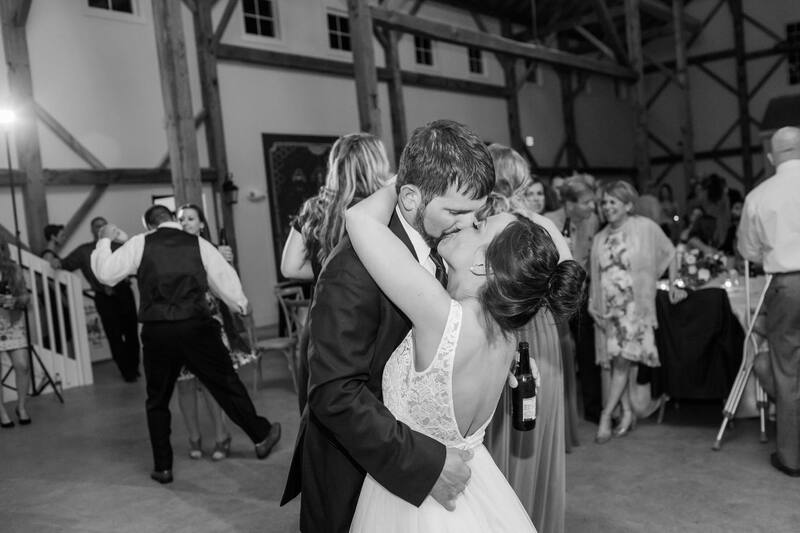 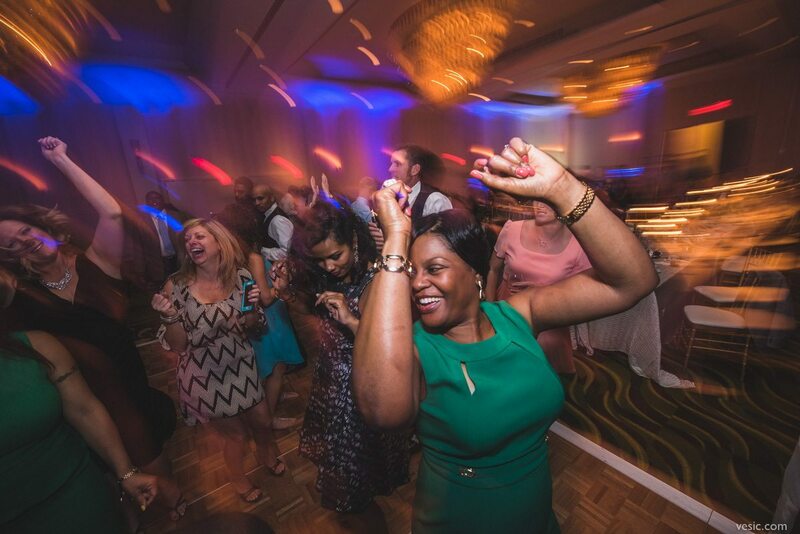 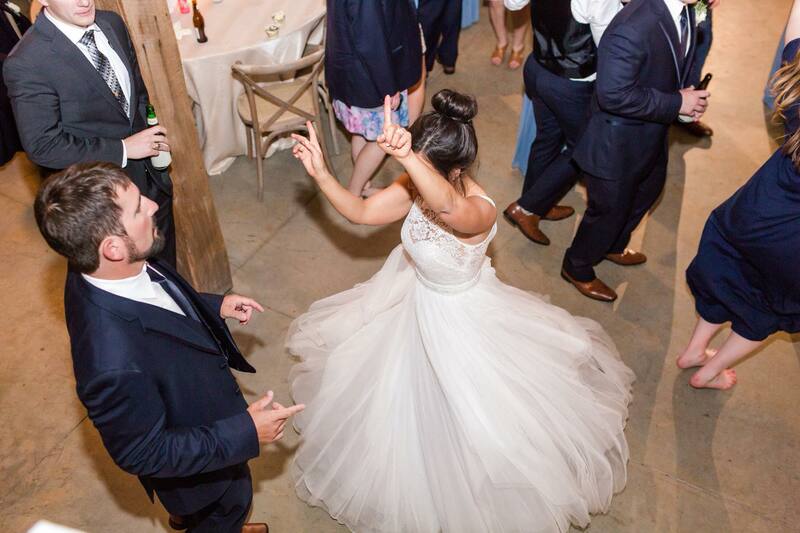 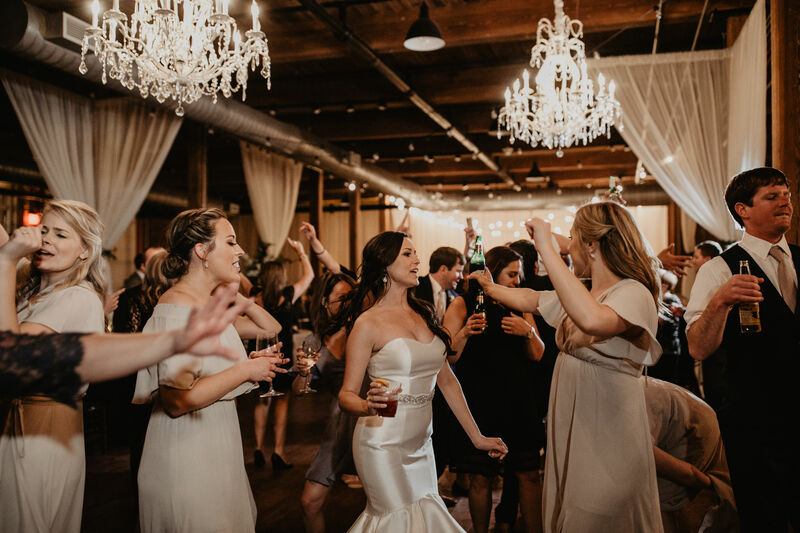 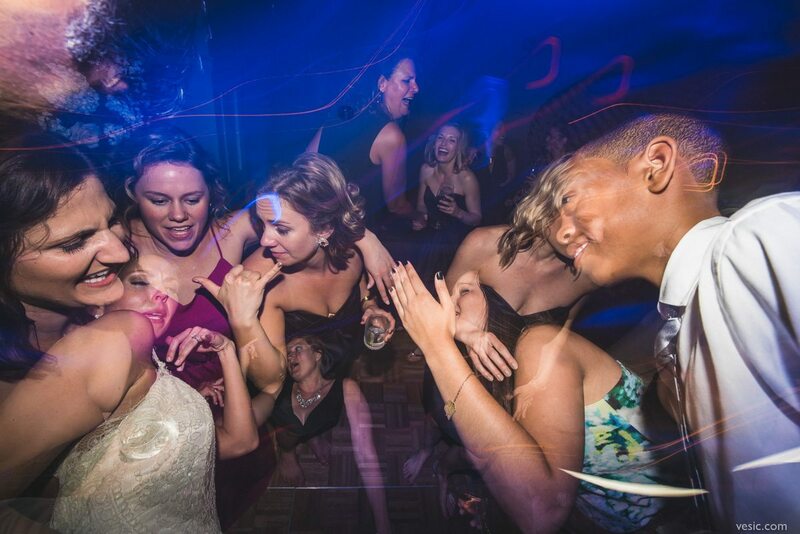 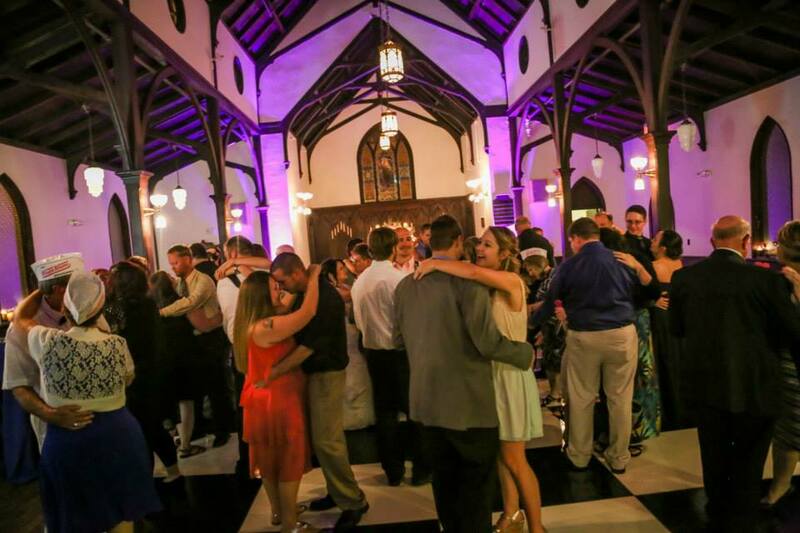 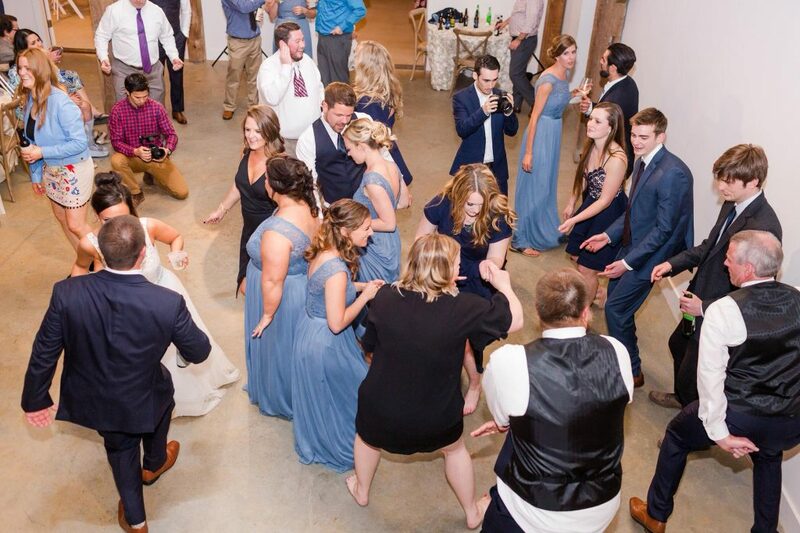 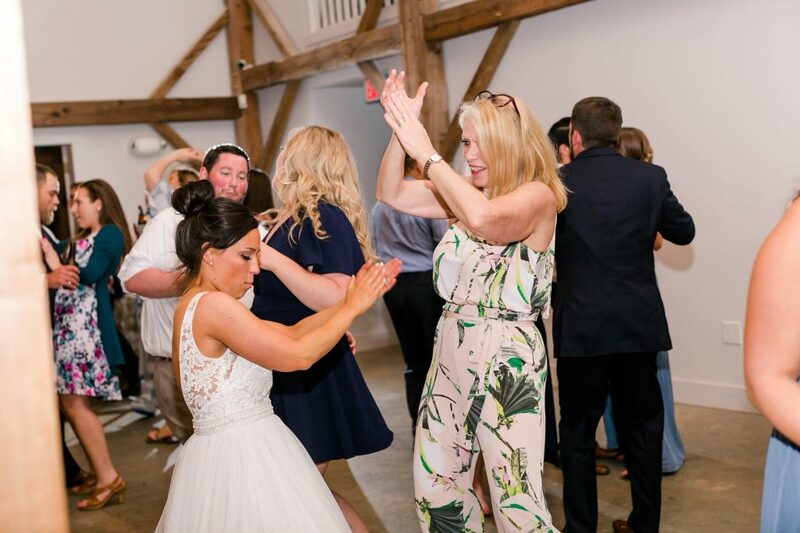 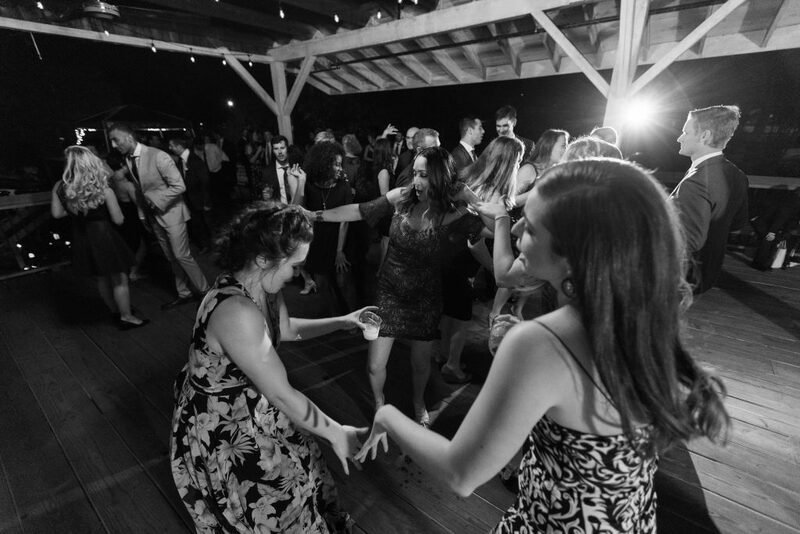 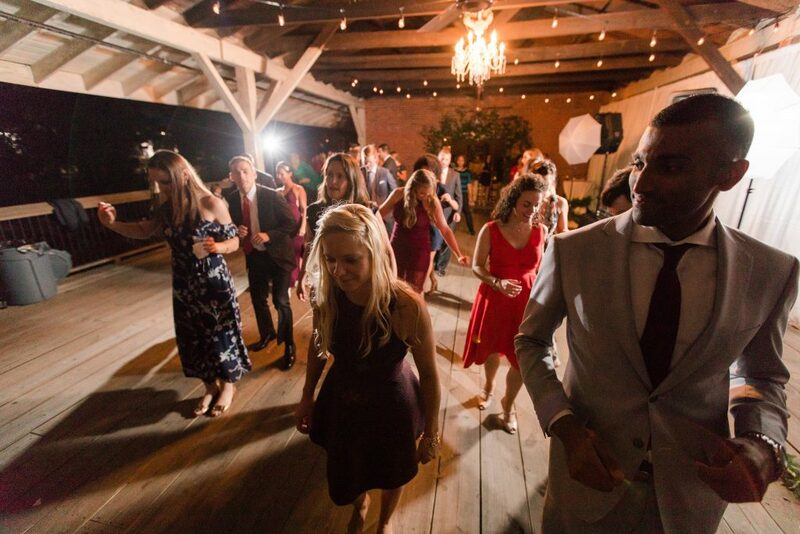 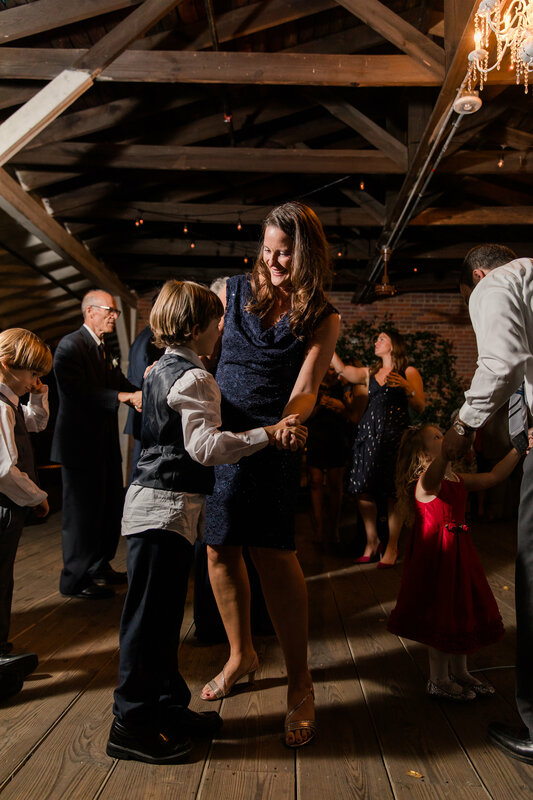 djs in raleigh, Hip Hop Wedding DJs in Raleigh, Raleigh Wedding DJ, the meadows at firefly farm preserve wedding, the meadows raleigh wedding dj, the meadows raleigh wedding uplighting, the meadows wedding, You're gonna need a bigger dance floor! 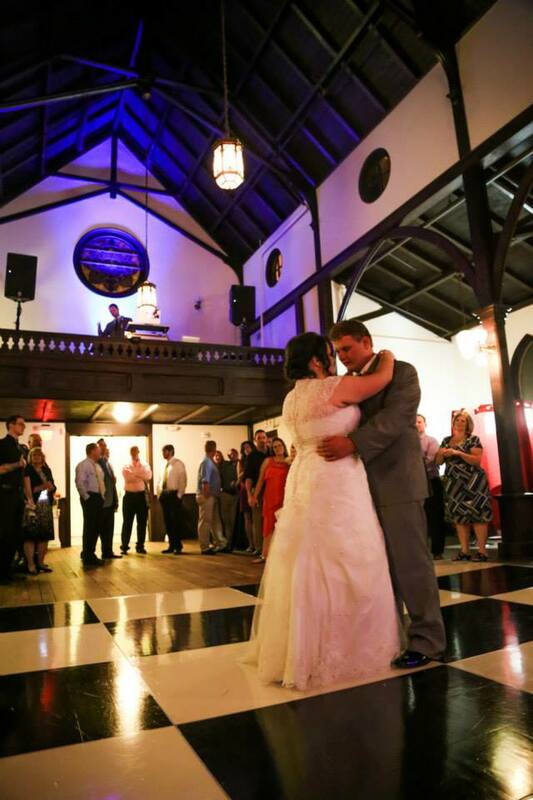 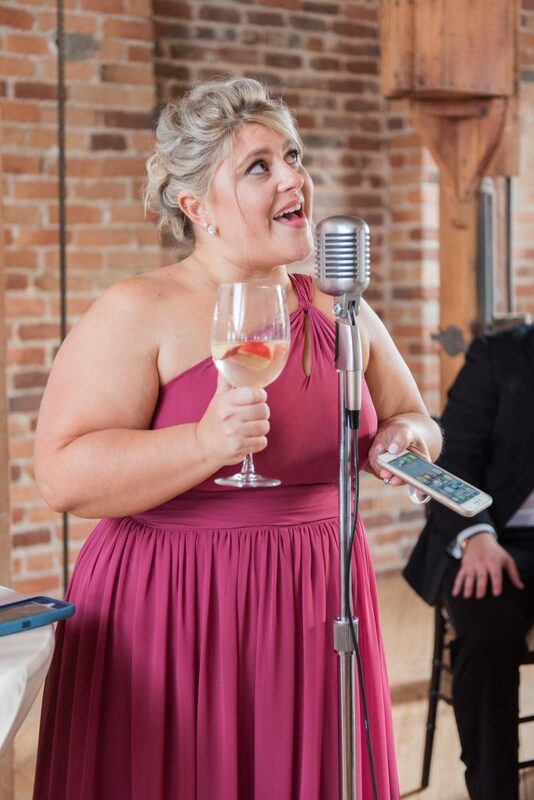 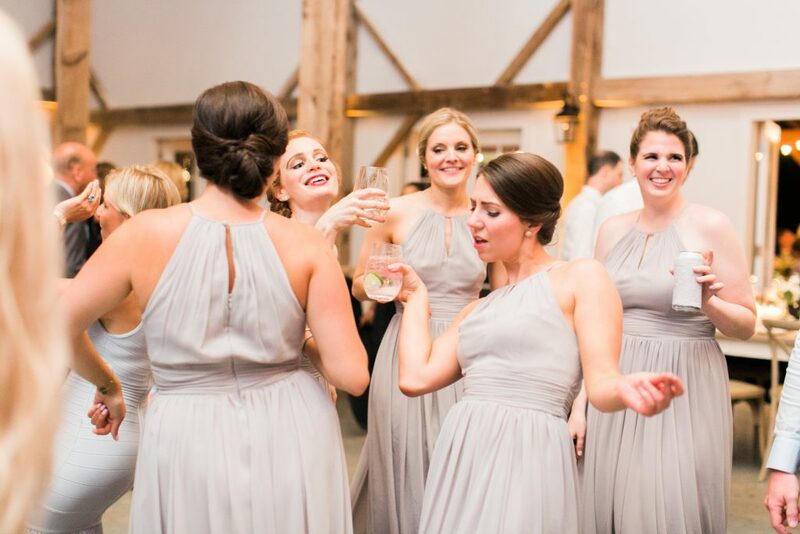 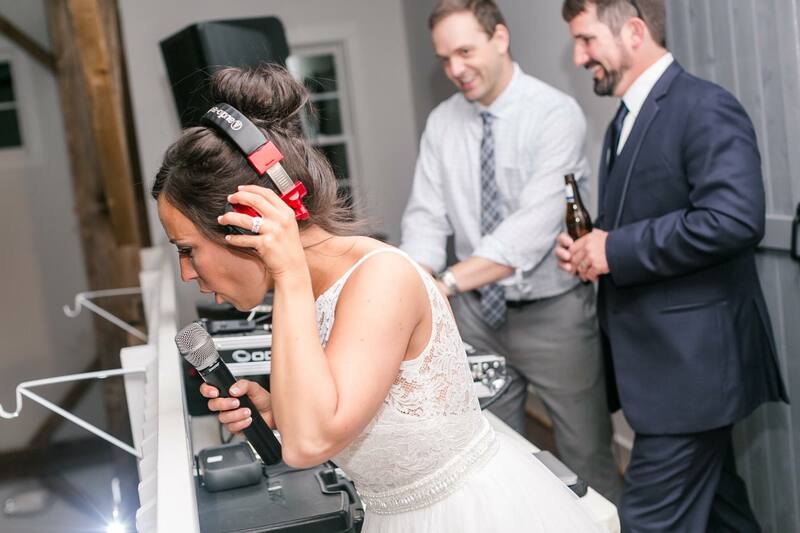 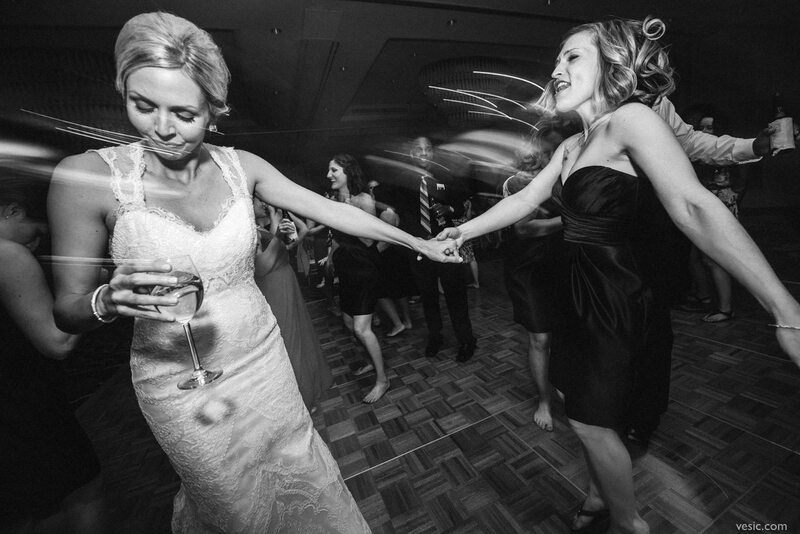 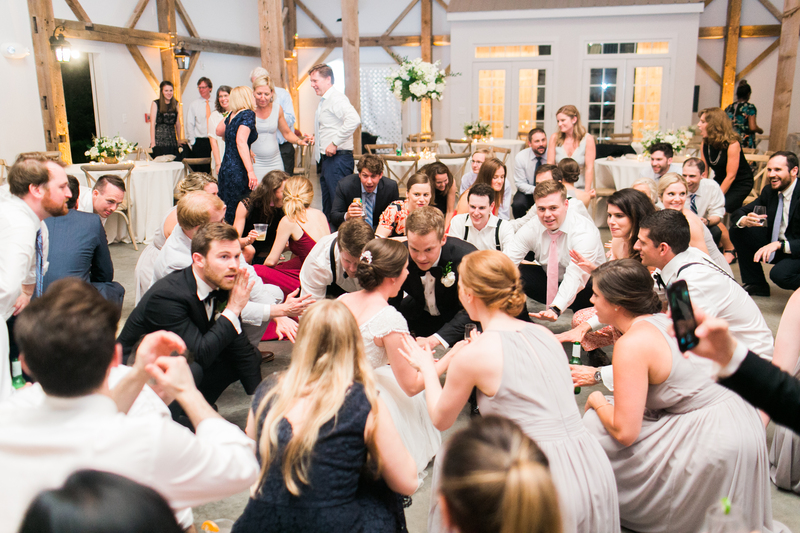 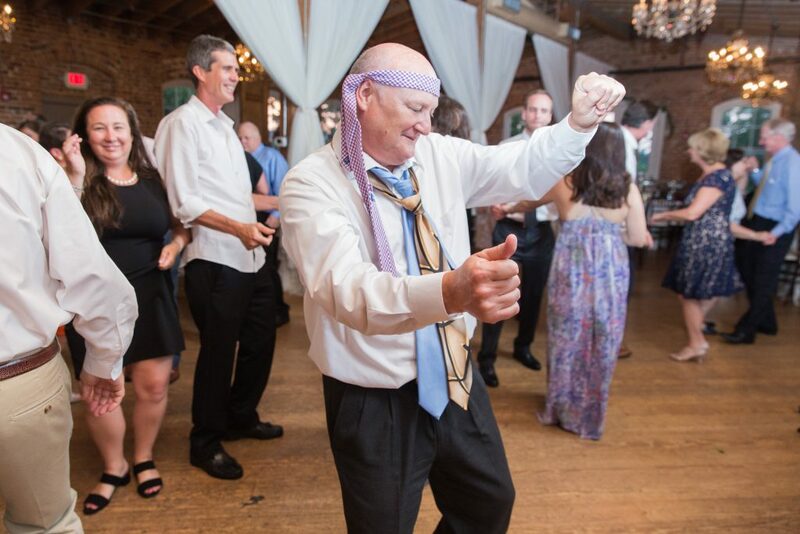 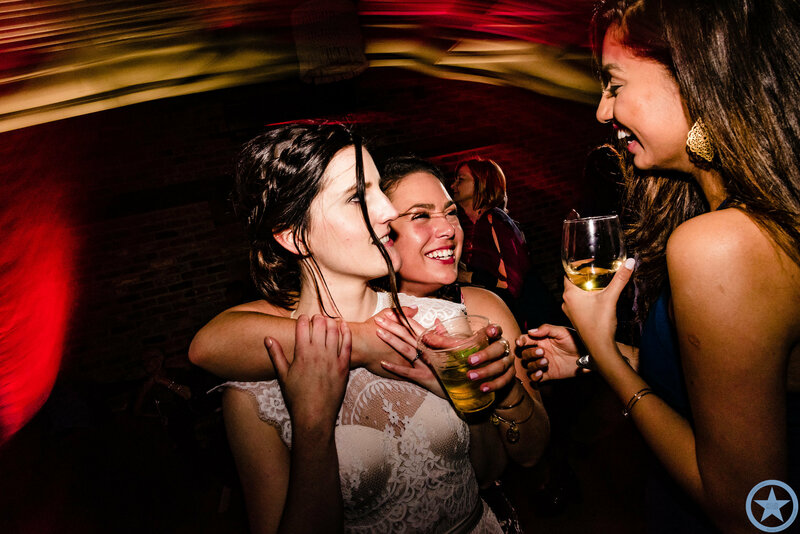 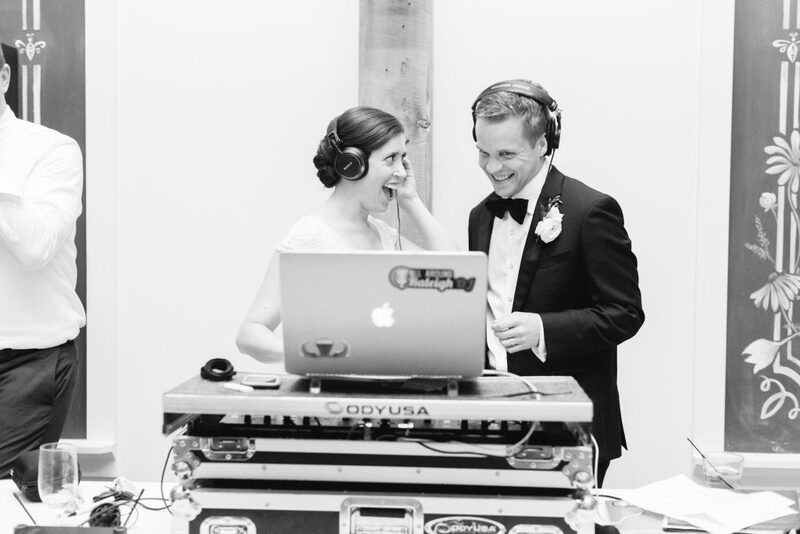 Do you still have a few blank spots on your wedding ceremony playlist? 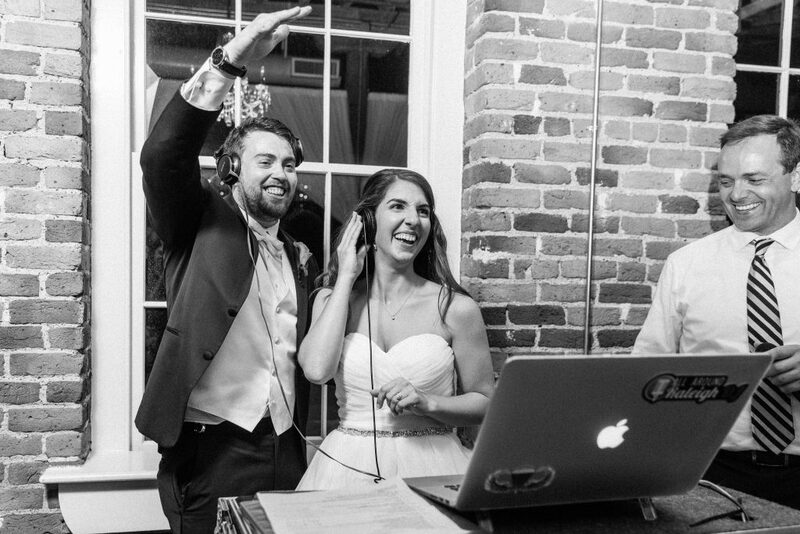 All Around Raleigh DJ is here to help! 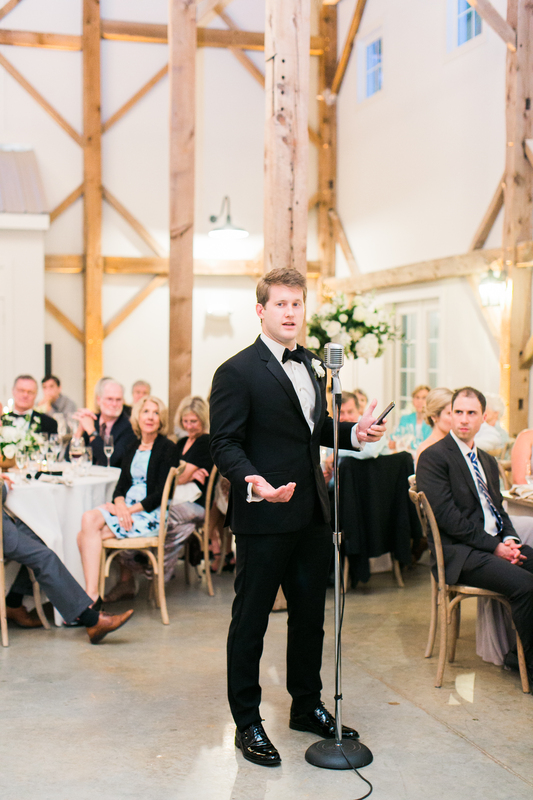 There are so many wonderful songs and wonderful covers of those songs both classical and contemporary. 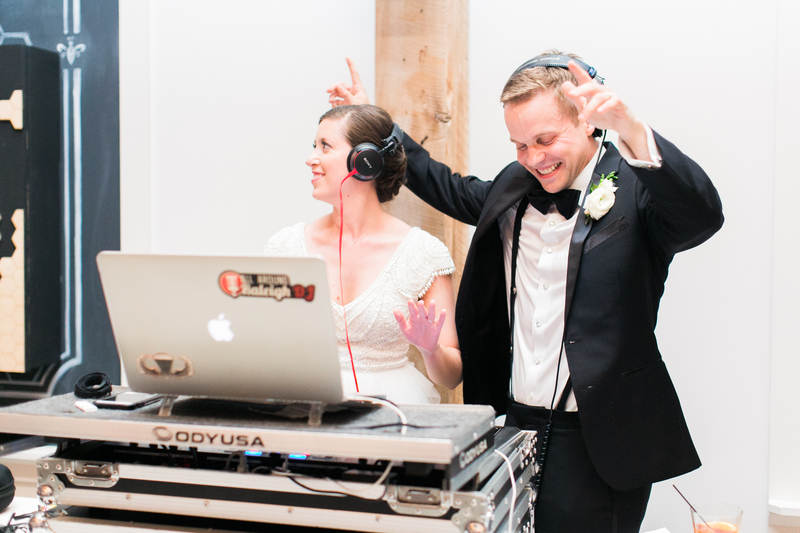 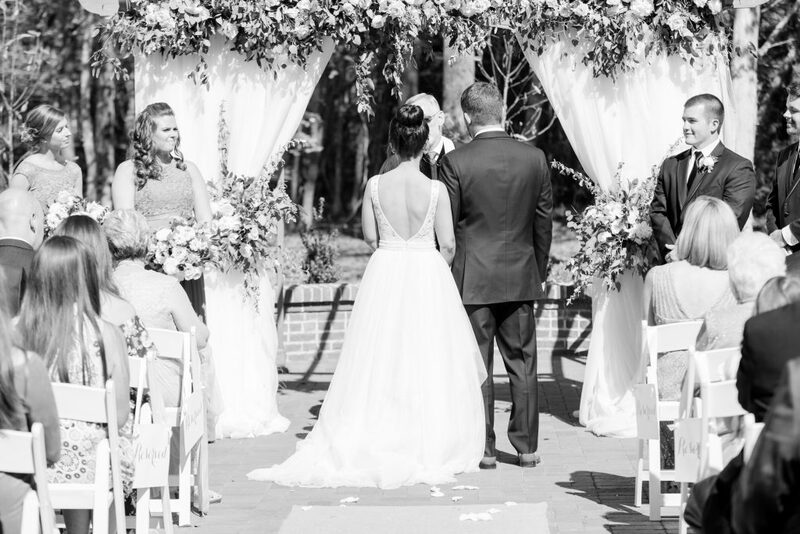 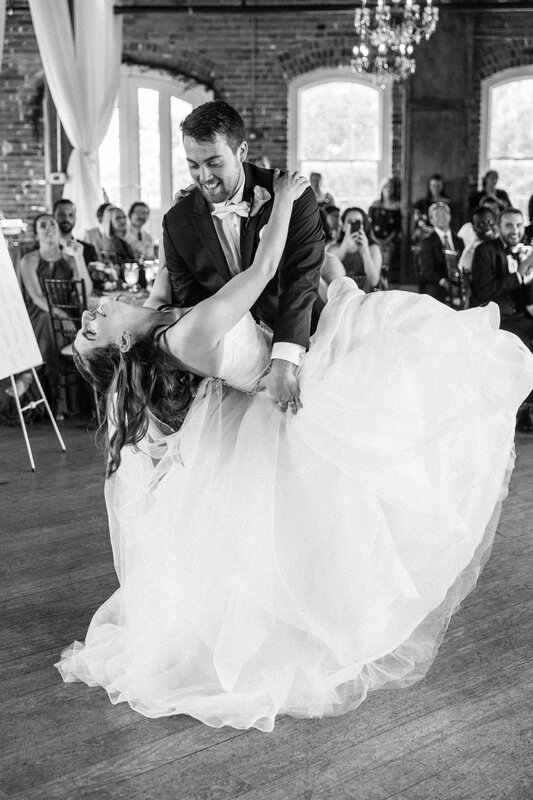 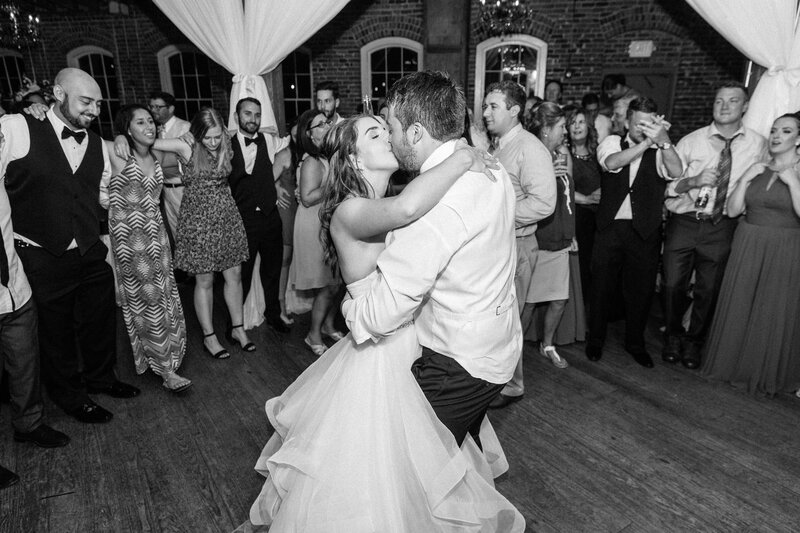 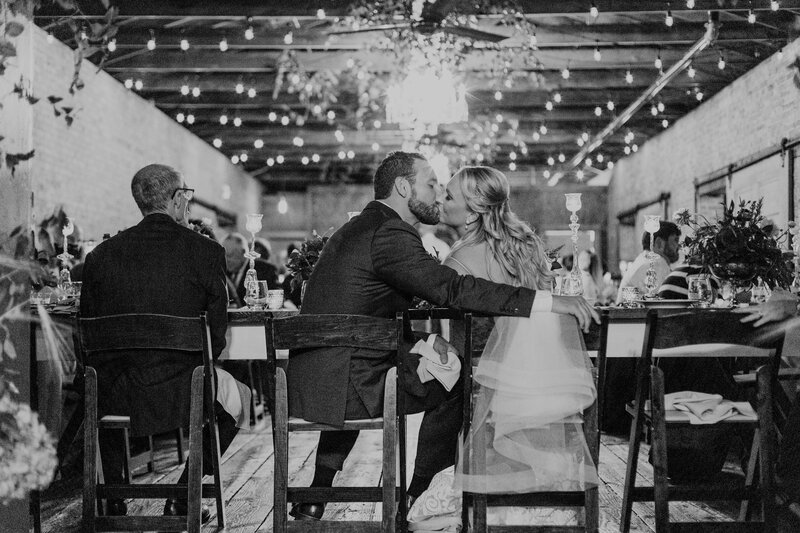 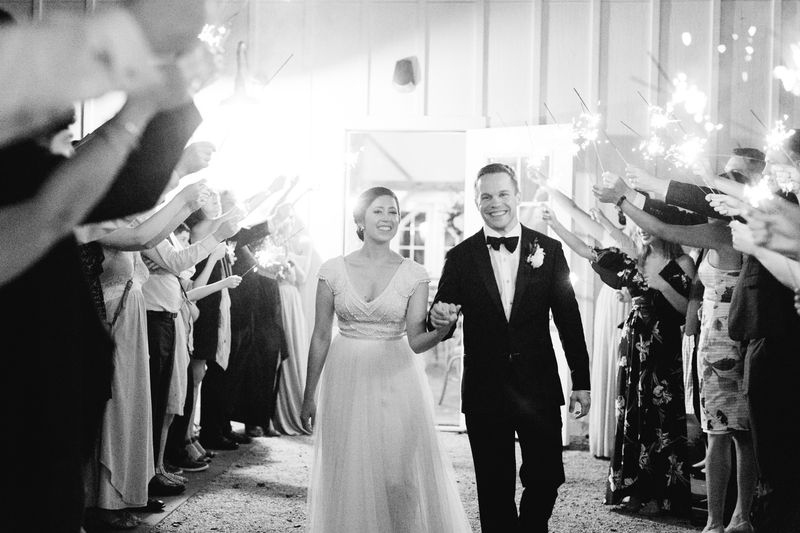 We hope you enjoy these songs and they inspire your wedding ceremony song list! 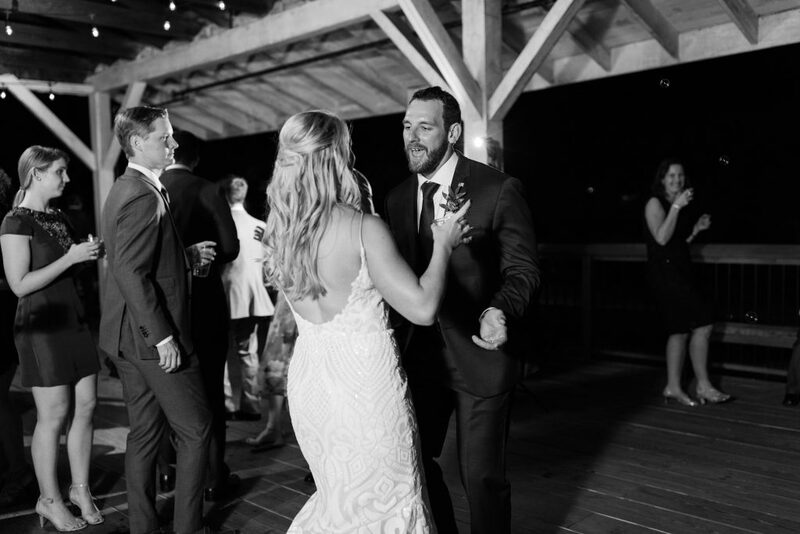 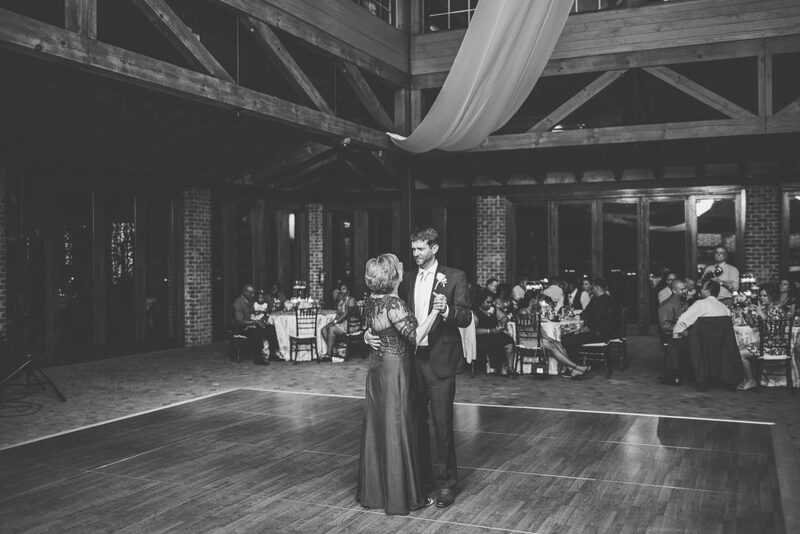 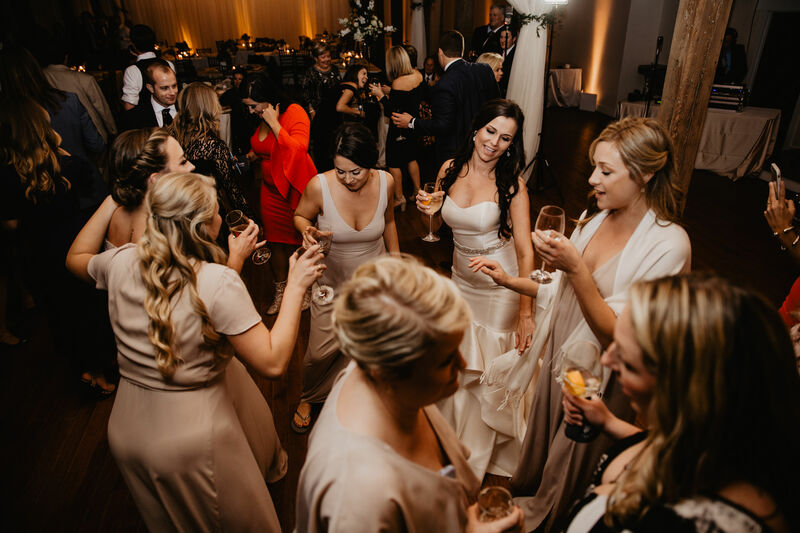 ceremony playlist, Raleigh Wedding DJ, Wedding ceremony dj song ideas, Wedding Ceremony Song Ideas, You're gonna need a bigger dance floor! 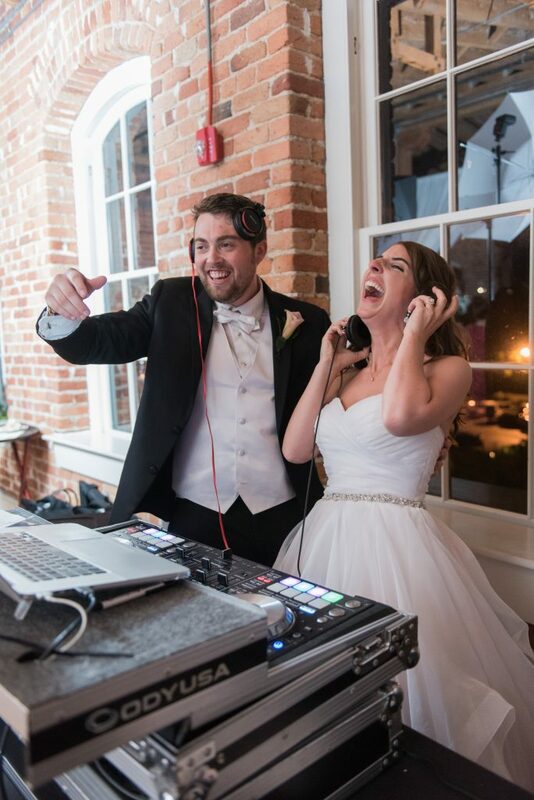 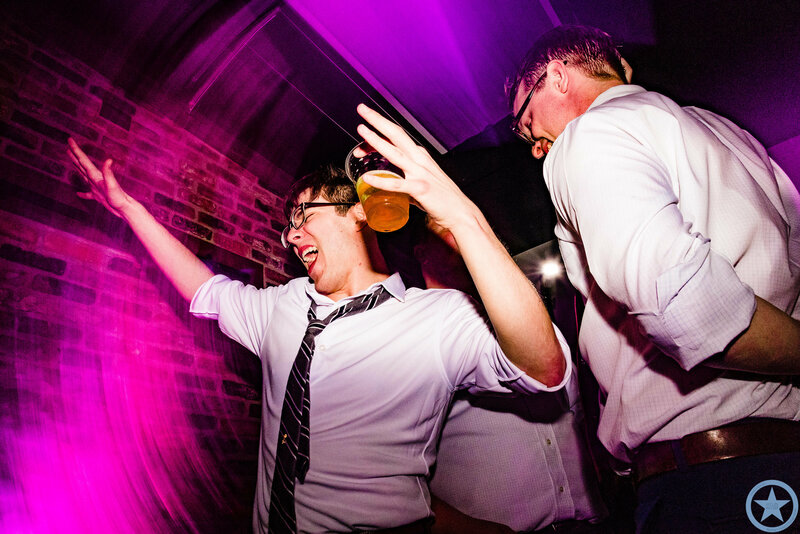 We’re back with another amazing wedding that we got to DJ for! 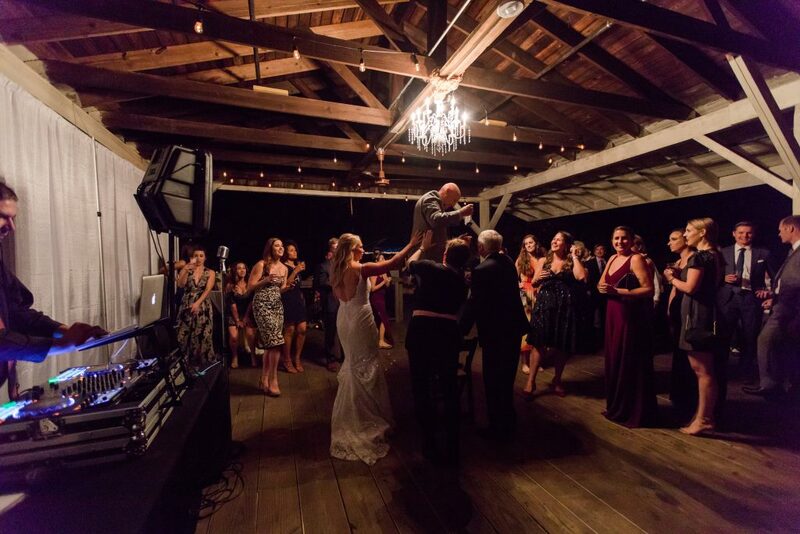 It was all smiles at Stephanie & Daniel’s wedding at 305 Trackside and we’re so glad to have been able to provide the music for their day. 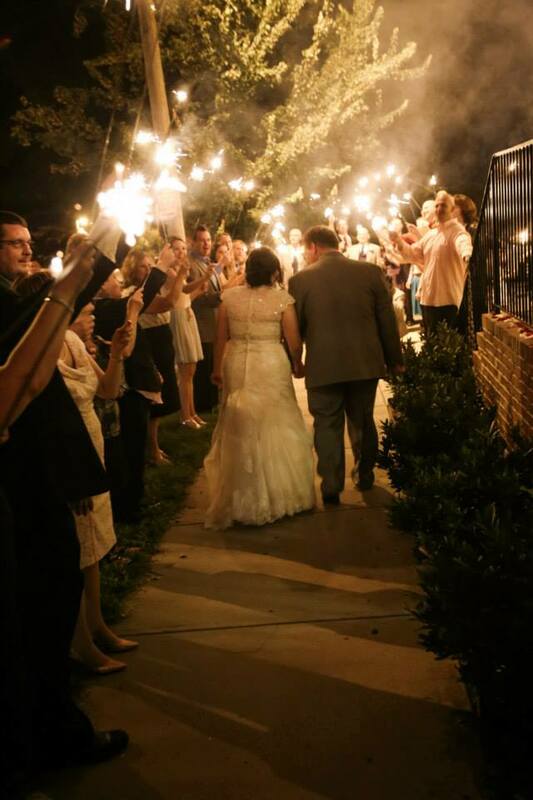 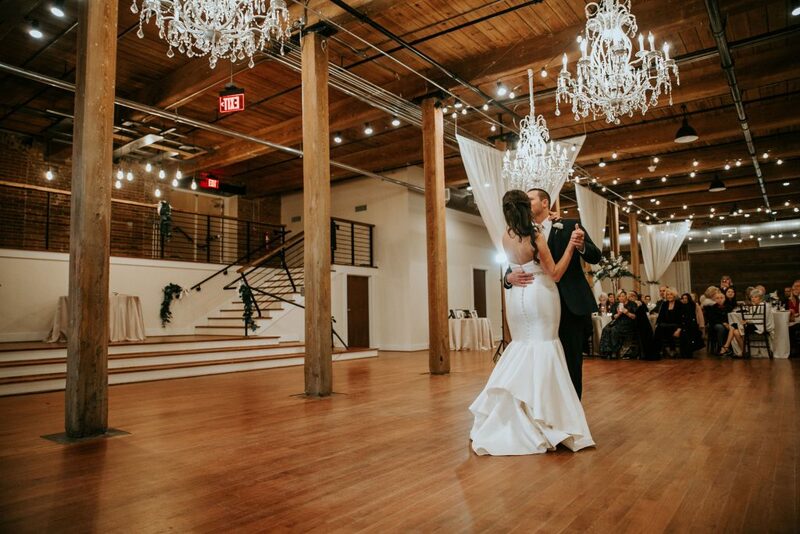 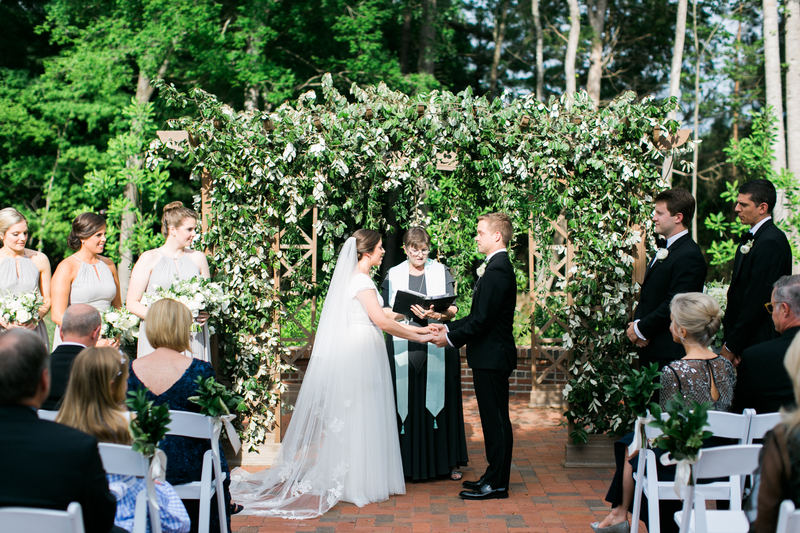 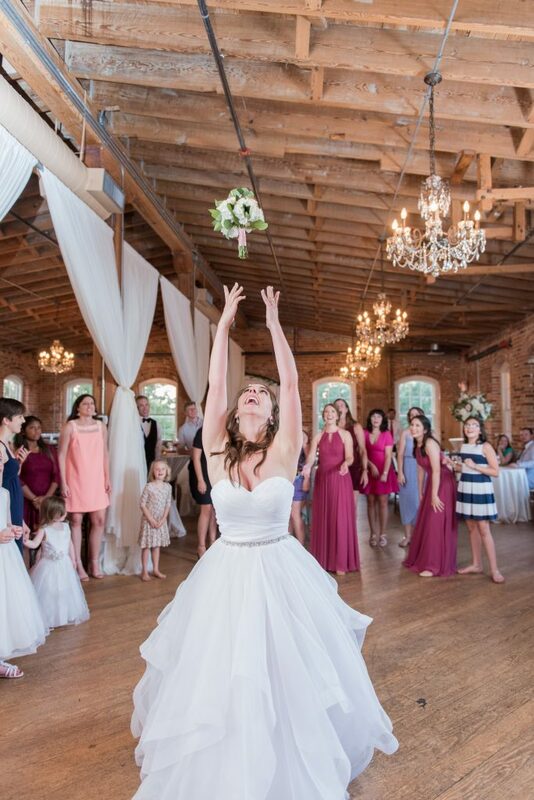 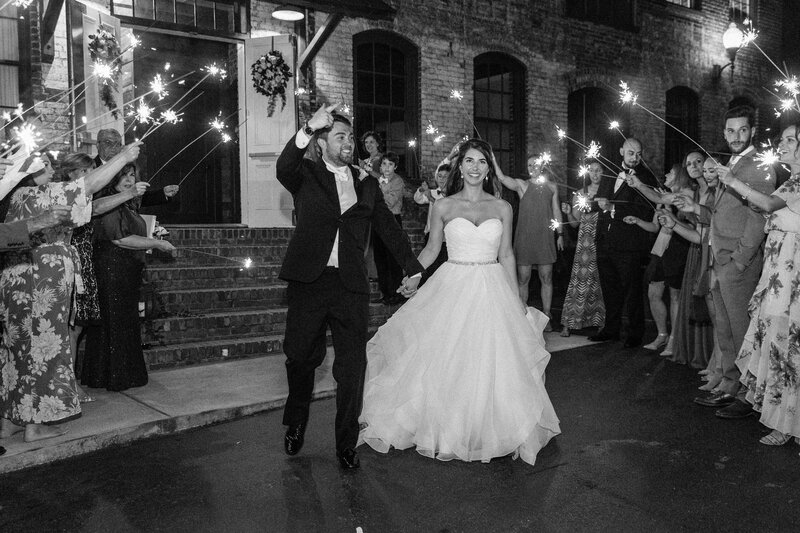 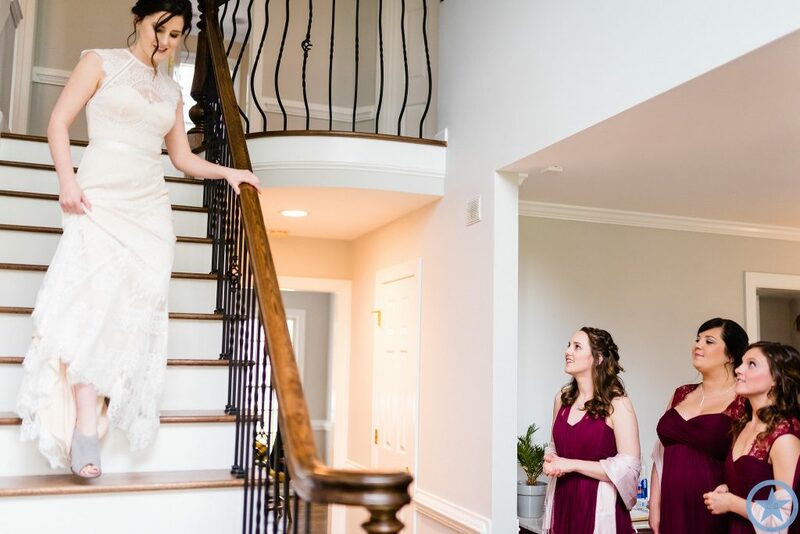 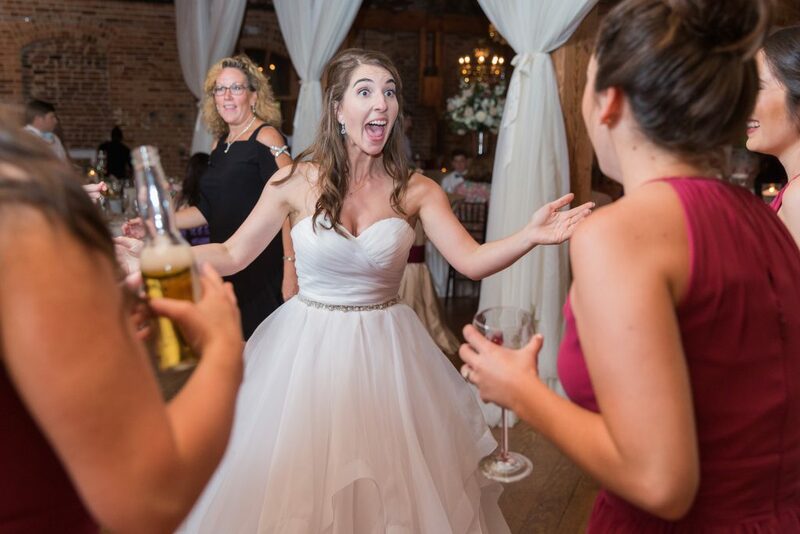 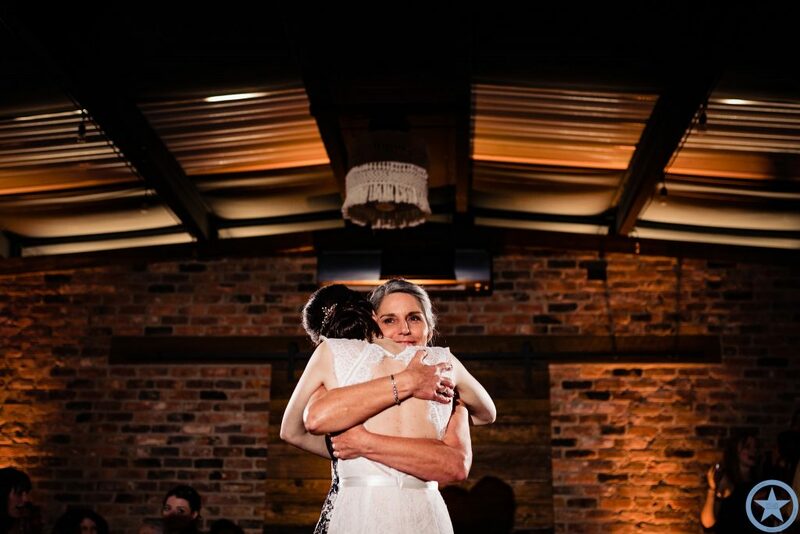 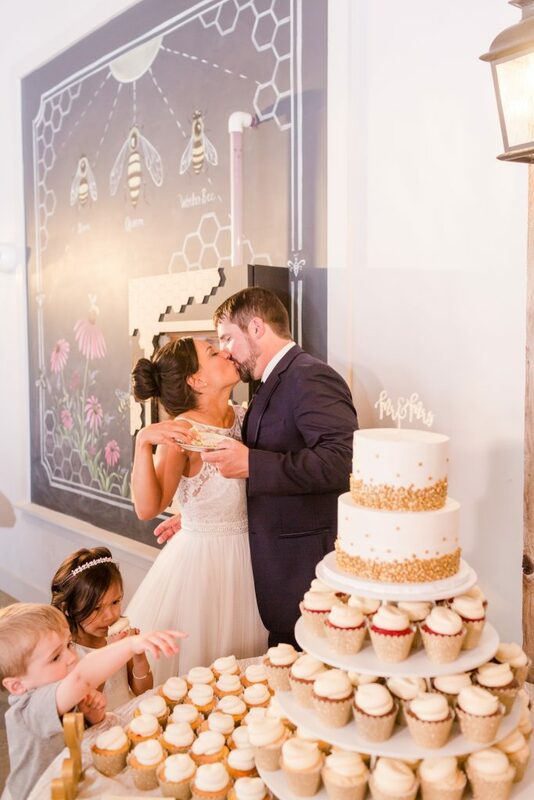 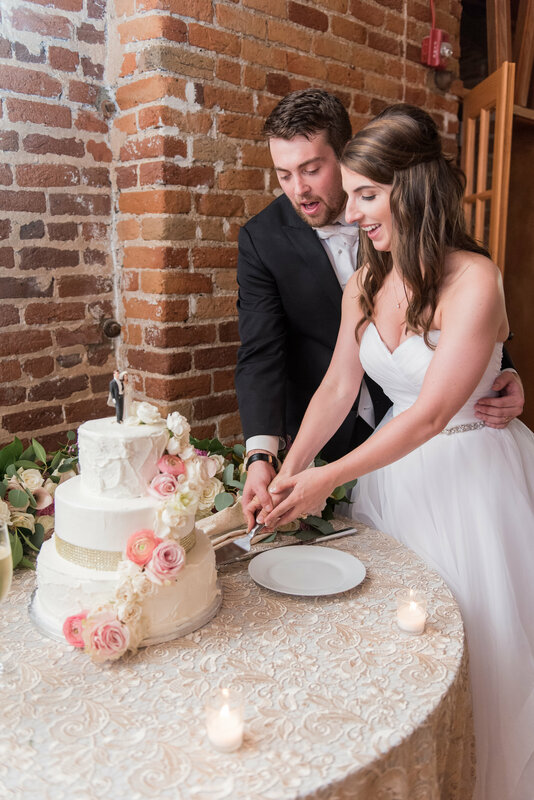 We’re too excited to share some of our favorite images of their wedding by Jennifer B Photography! 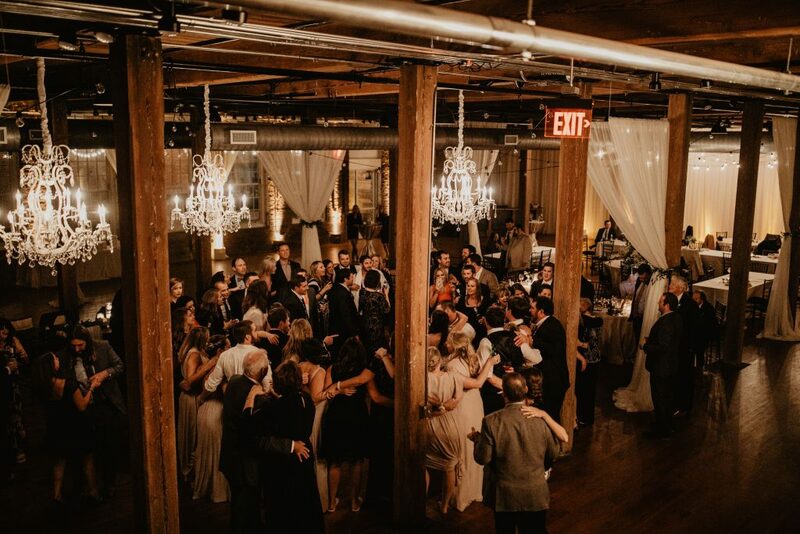 The night opened up with some light acoustic music for the cocktail hour which allowed everyone to catch up and have a few drinks as the newlyweds took photos with their bridal party and family. 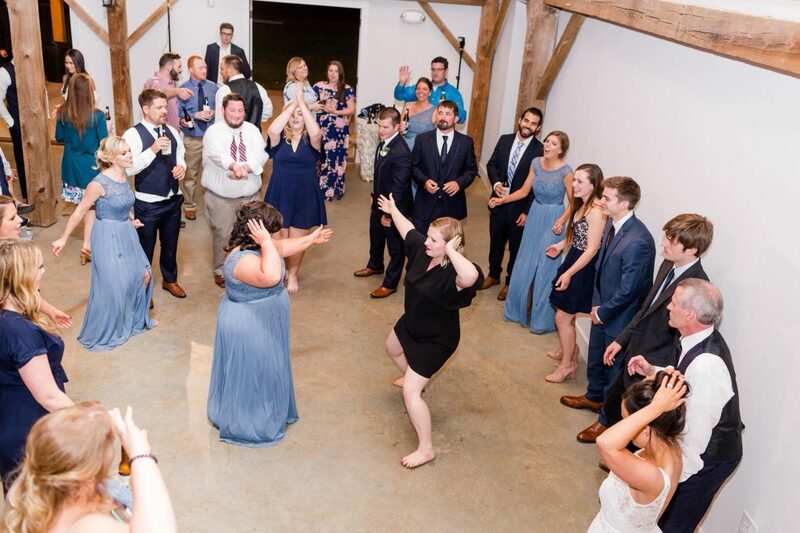 We brought everyone in to the reception area and then introduced the parents and bridal party to “Signed, Sealed, Delivered” by Stevie Wonder but changed it up to, one of our favorites, “Come and Get Your Love” by Redbone to introduce the Bride & Groom. 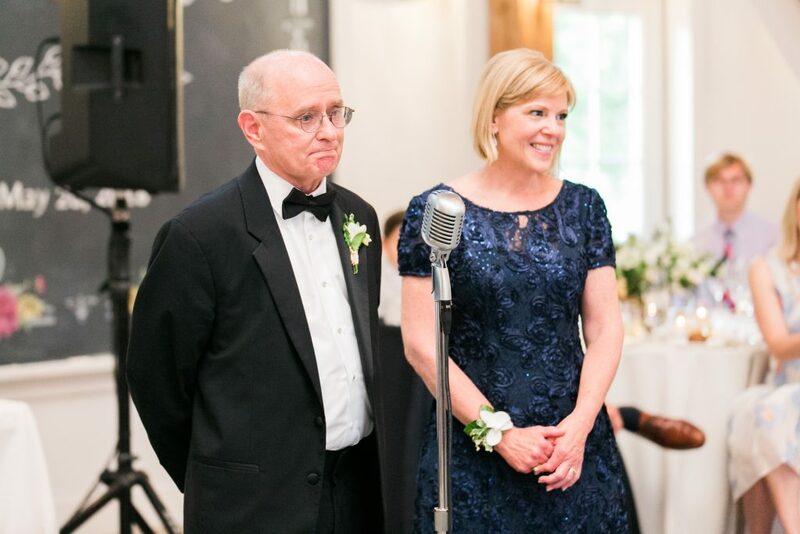 Stephanie’s Dad said a very nice welcome speech then Daniel’s Dad said a blessing to open up dinner. 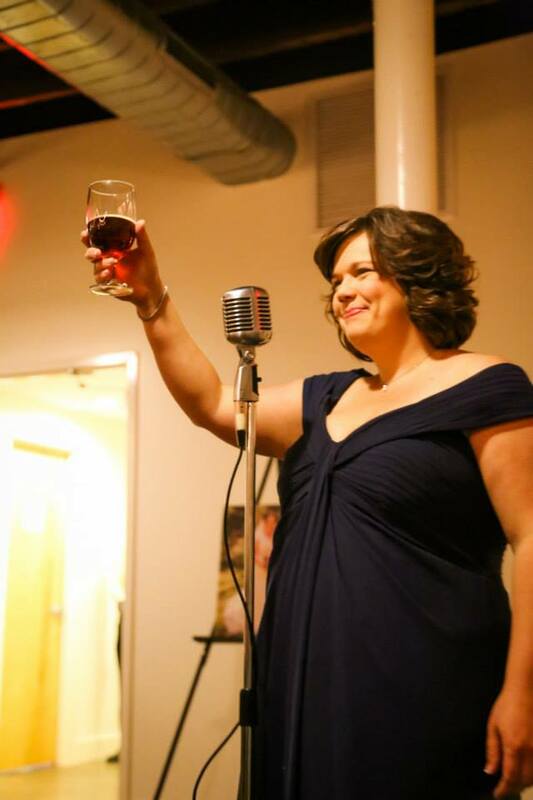 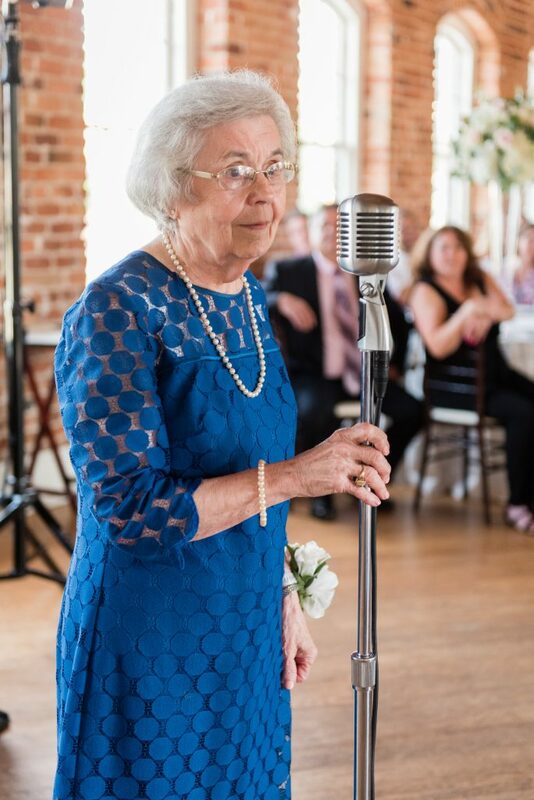 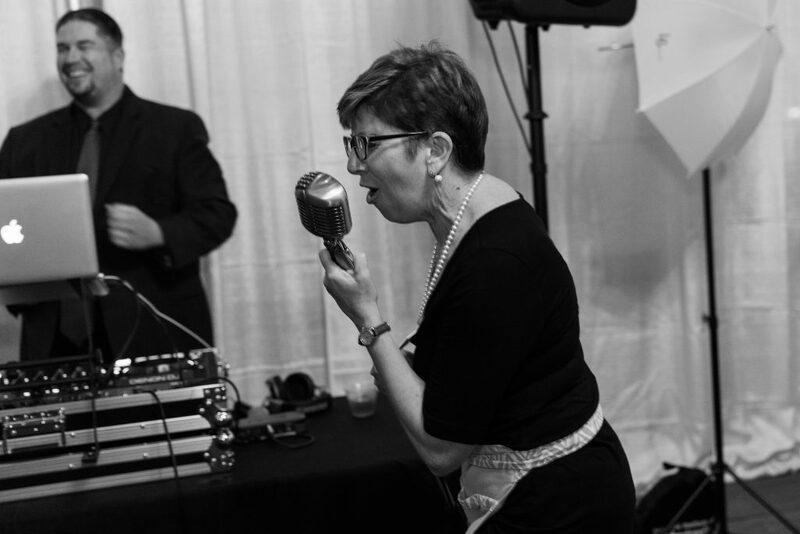 Dinner was served with Motown, oldies, light, upbeat, classic soul and jazz gave the occasion a timeless touch, allowing guests to share memories and enjoy the delicious cuisine from 39 West Catering. After beautiful toasts from the Bride’s brother and then the Best Man, the newlyweds took the dance floor to share their first dance as a married couple to “Baby, I Need Your Loving” by The Four Tops. 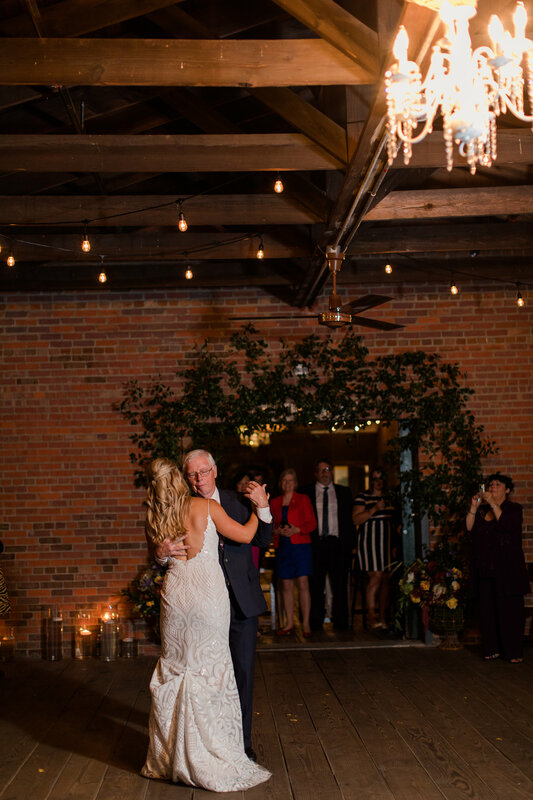 Stephanie and her Dad then danced their Father/Daughter Dance to an instrumental version of “Perfect” by Ed Sheehan followed by the Mother/Son Dance to “Wonder of You” by Elvis . 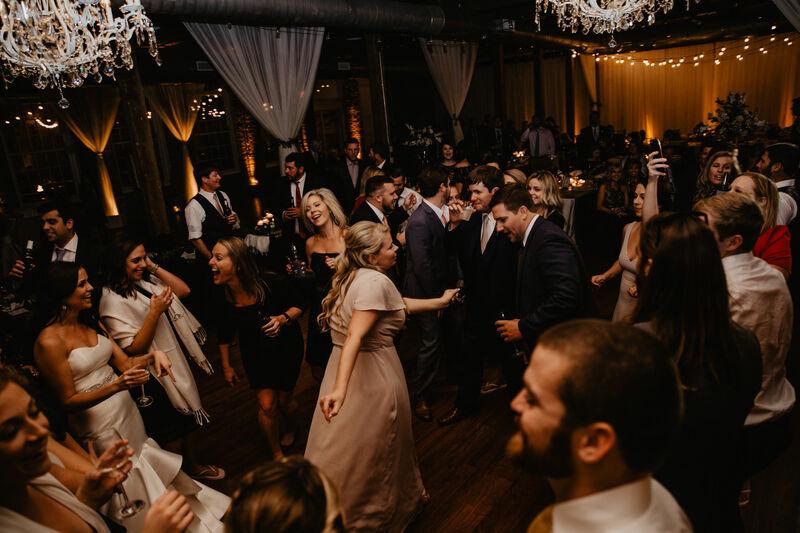 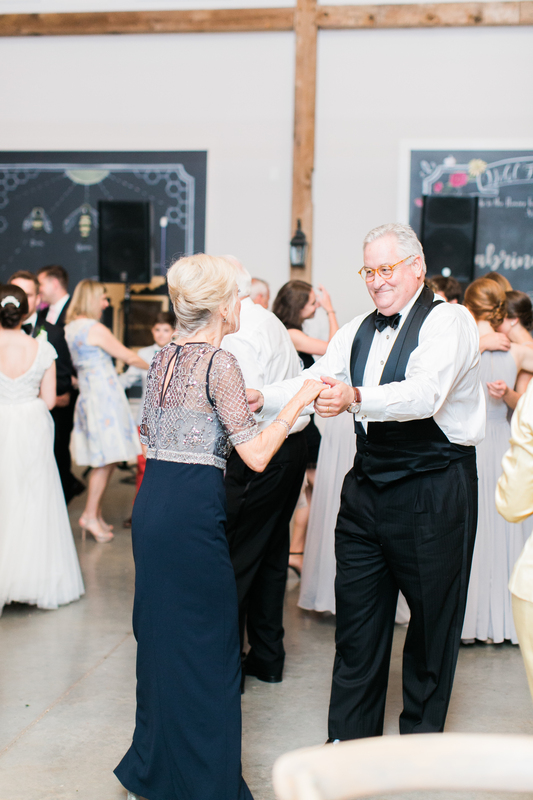 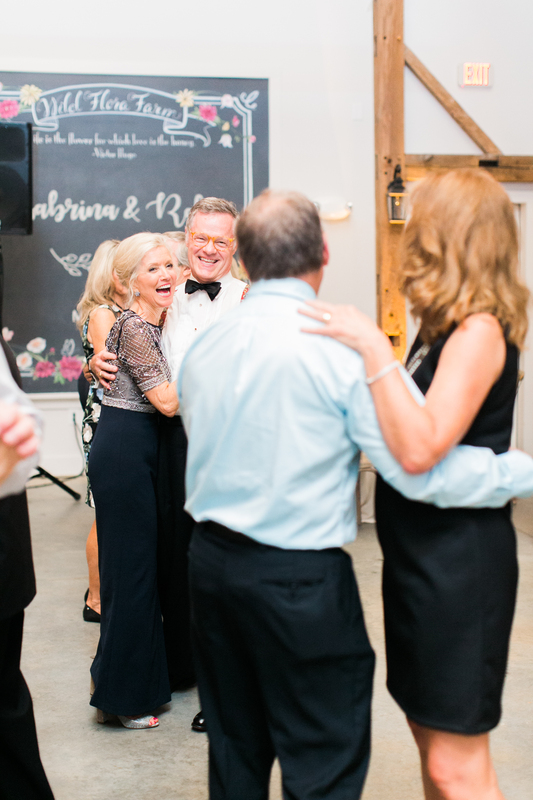 We opened up the dance floor with the Anniversary Dance and it was immediately clear that Stephanie and Daniel’s guests came to celebrate! 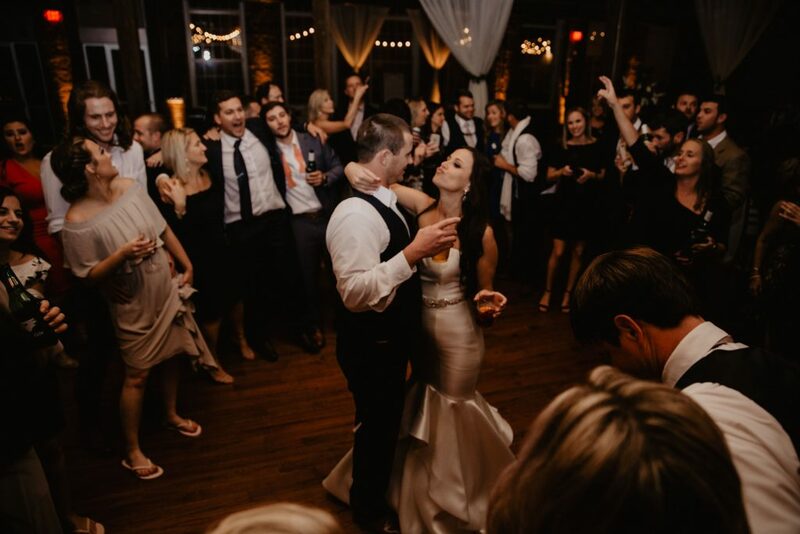 We happily obliged and had a really great night of dancing and celebrating this amazing couple. 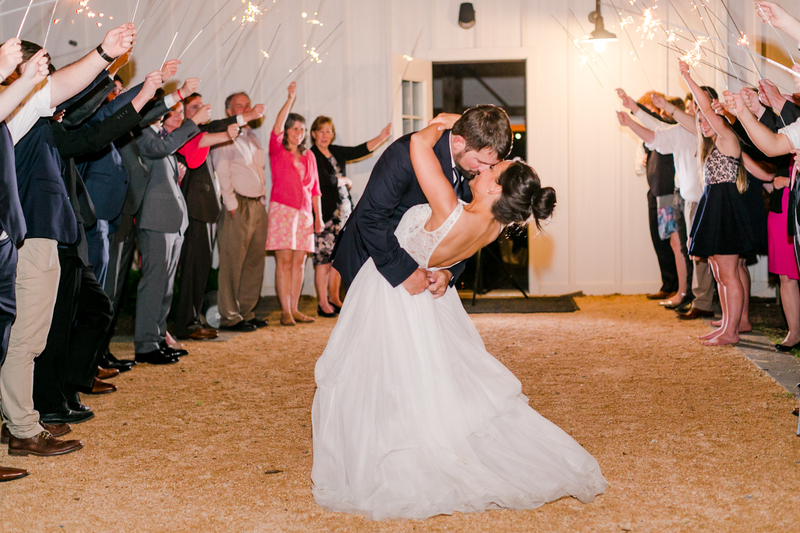 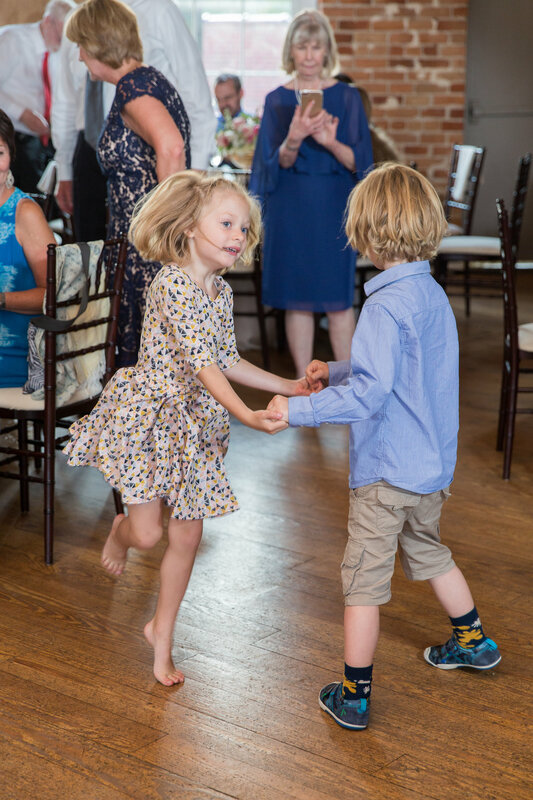 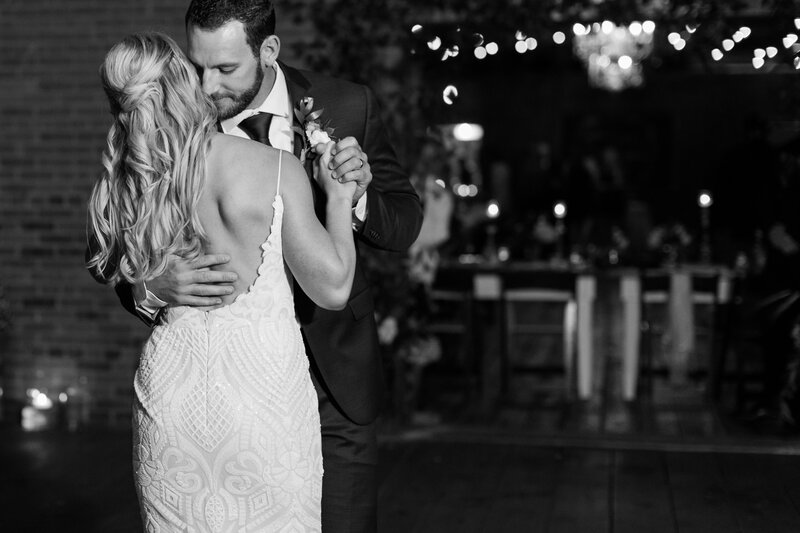 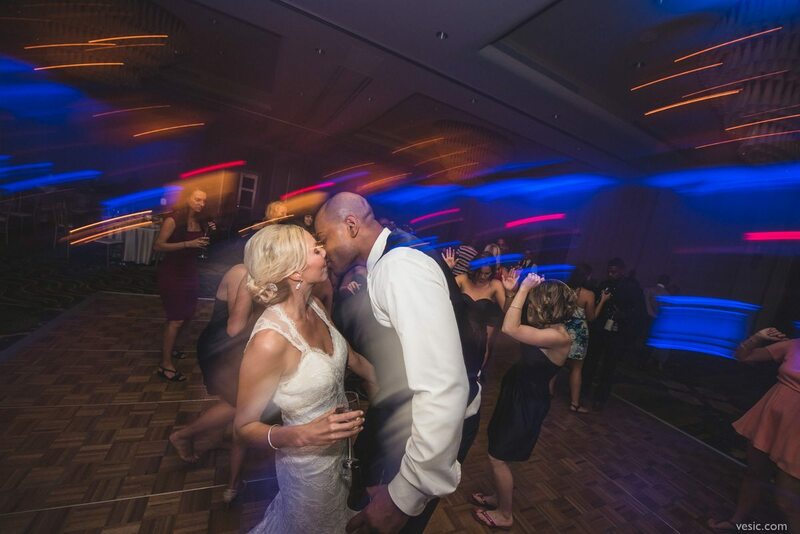 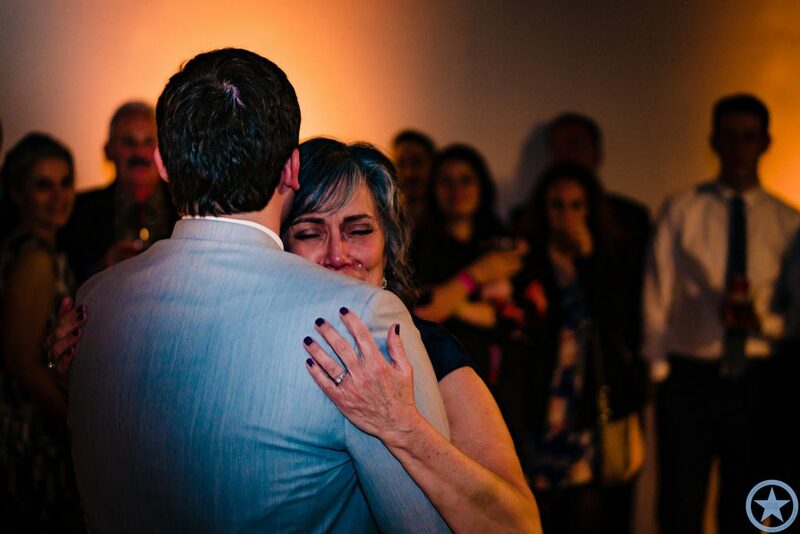 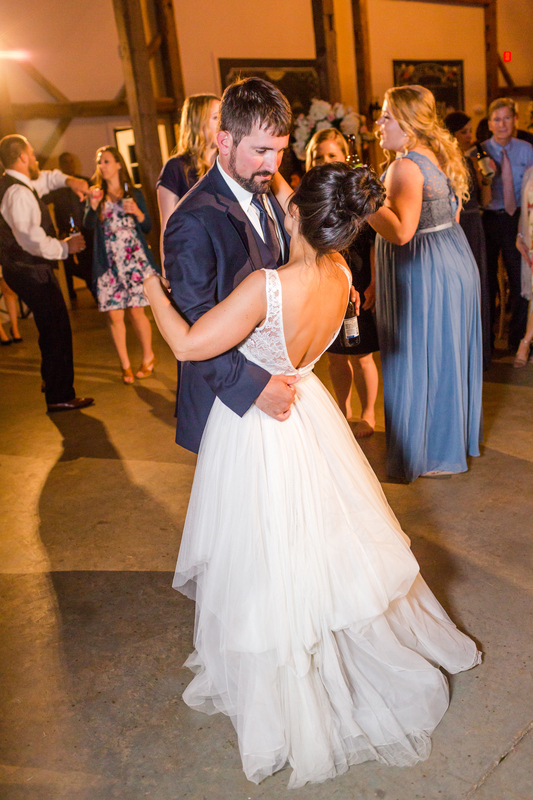 Stephanie and Daniel designed their timeline to maximize time spent on the dance floor, and I’m really glad they did! 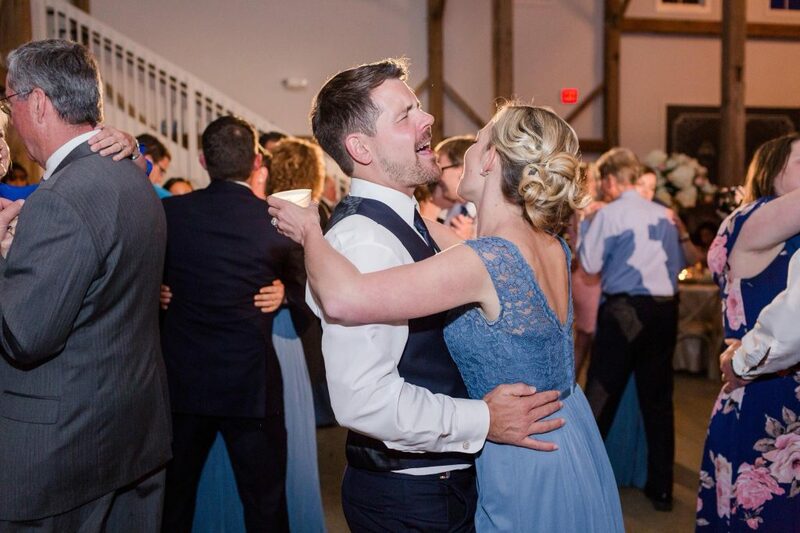 Their friends and family kept dancing the entire time, all the way up to the last song of the evening, “Hooked on a Feeling” by Blue Swede. 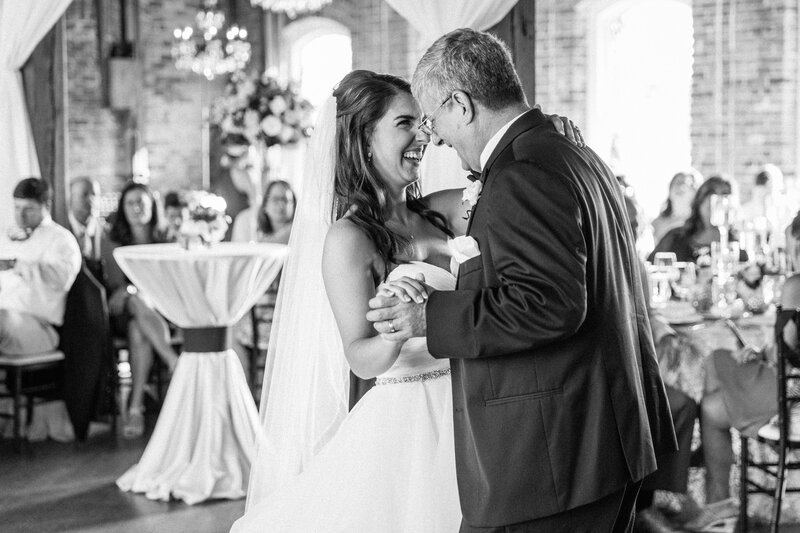 It was a fitting song to capture the mood of pure joy and celebration of this wonderful couple’s wedding. 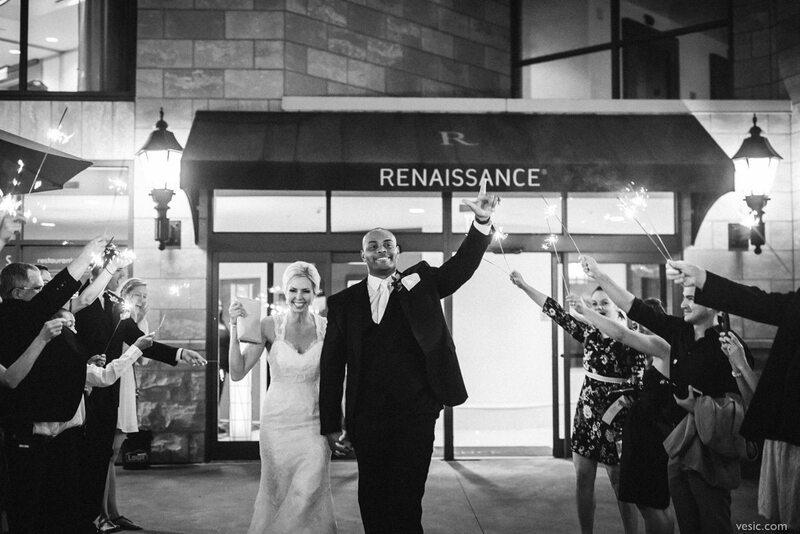 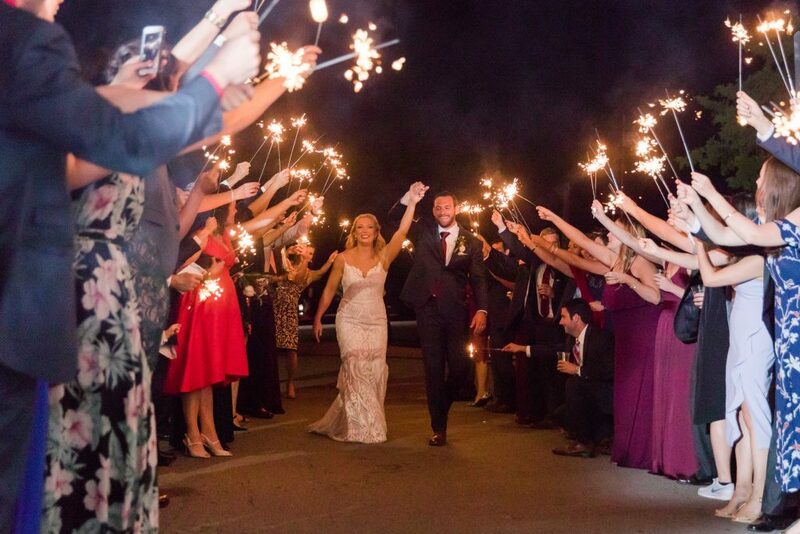 The night ended with a very fun sparkler exit. 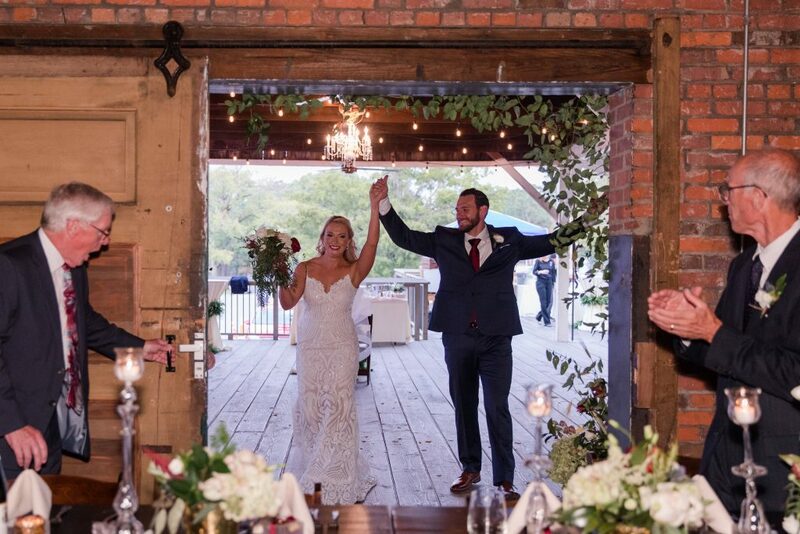 Congratulations and best wishes, Stephanie and Daniel! 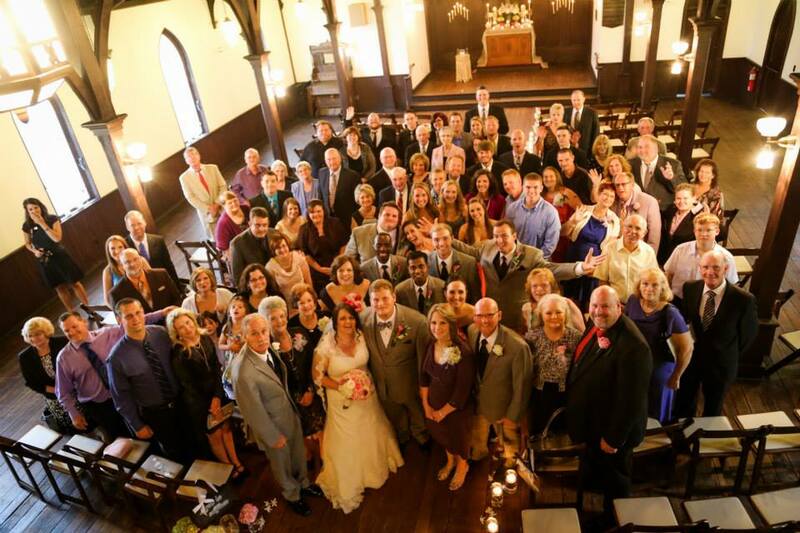 Here is Stephanie & Daniel’s Amazing Wedding Vendor Team! 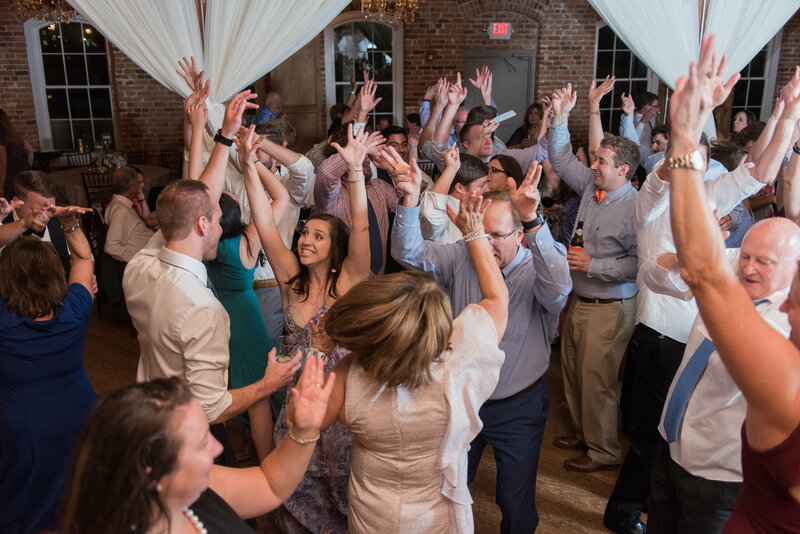 305 trackside wedding, dj for wedding in raleigh, Raleigh Wedding DJ, southern pines wedding dj, train station wedding dj, You're gonna need a bigger dance floor!